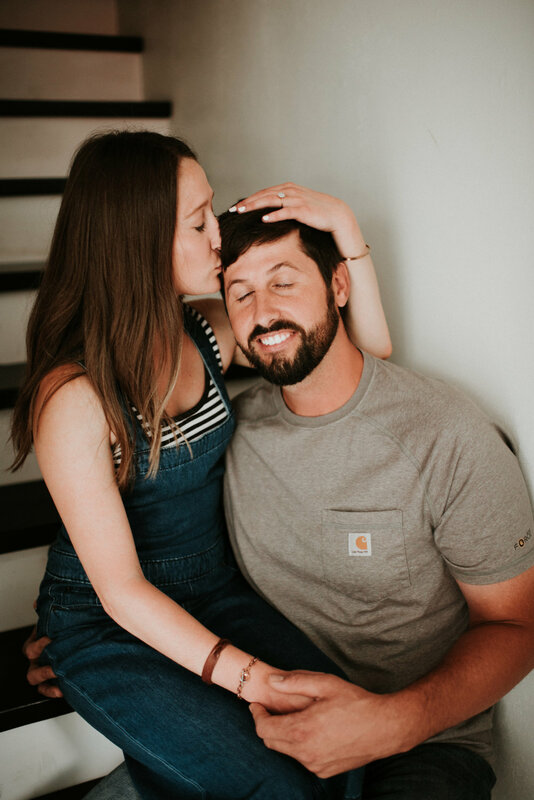 Back in the spring of 2018, Haley and Paul won our session giveaway and we clicked immediately! They are s super fun loving couple and have undeniable chemistry. I remember seeing a photoshoot with them that a friend, Jamie Holcomb, (You are the sweetest and super talented!) 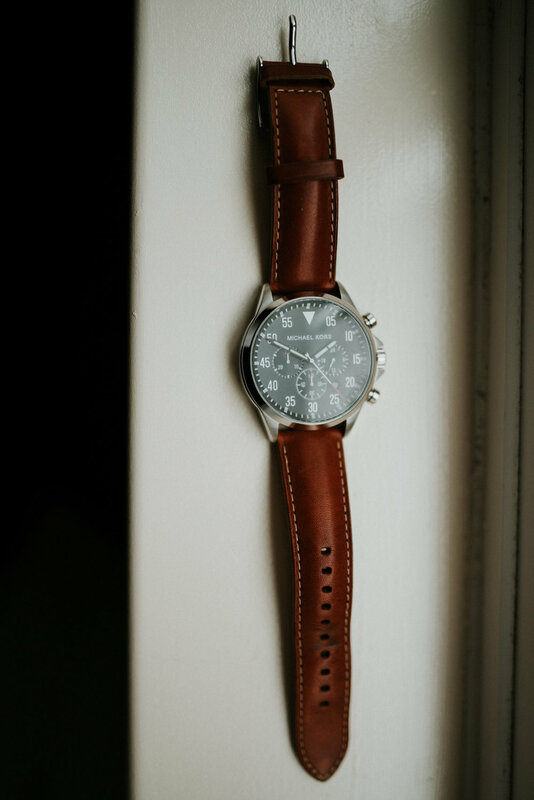 had shot in the summer time and was really excited to photograph them. It snowed that morning and was freezing, but looked like spring time when we started shooting. 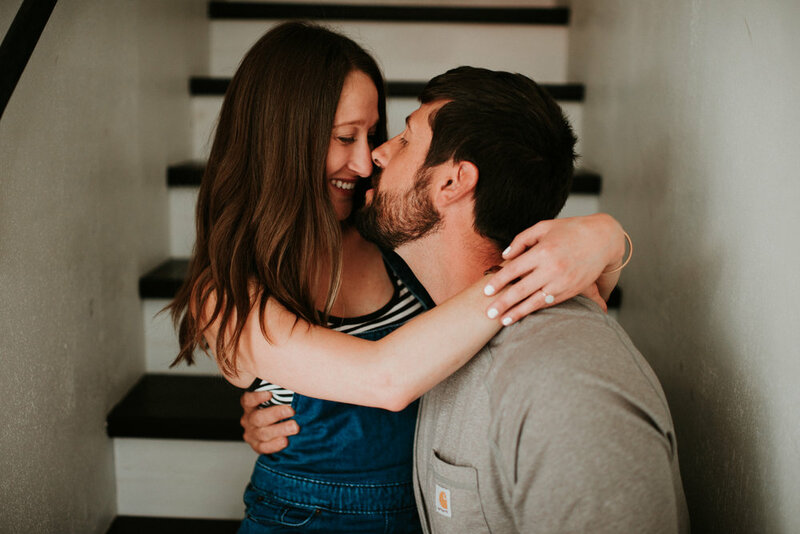 When they got engaged and got into contact with me about shooting their wedding, I was elated! 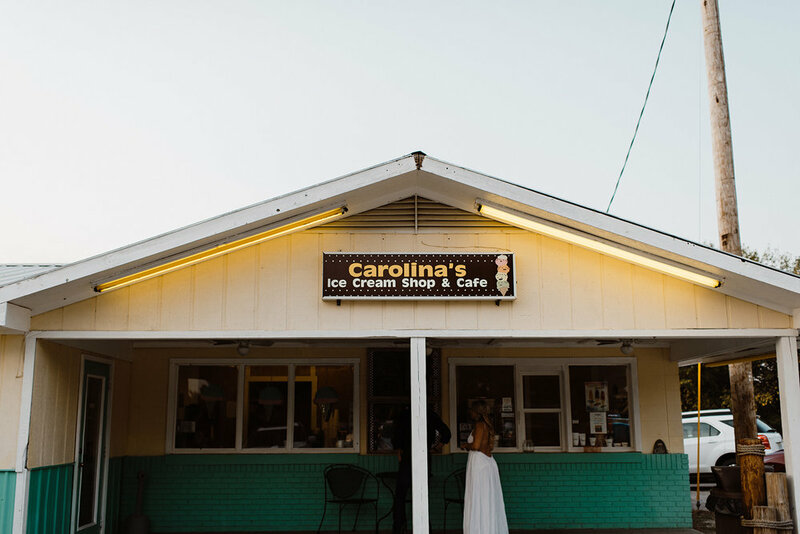 For this round we went to Carolina’s, a sweet little ice cream shop in Wappapello, Missouri, where Paul would stop and get ice cream growing up after fishing at the lake. (My family did the same, so it was special to get to visit!) After grabbing a cone, (and Paul eating his partially before we even started! haha) we headed down to the lake to catch an AMAZING sunset. There was a couple on a boat that just… like… circled around us on the dock though, so that was weird, but photoshop gave them the slip! 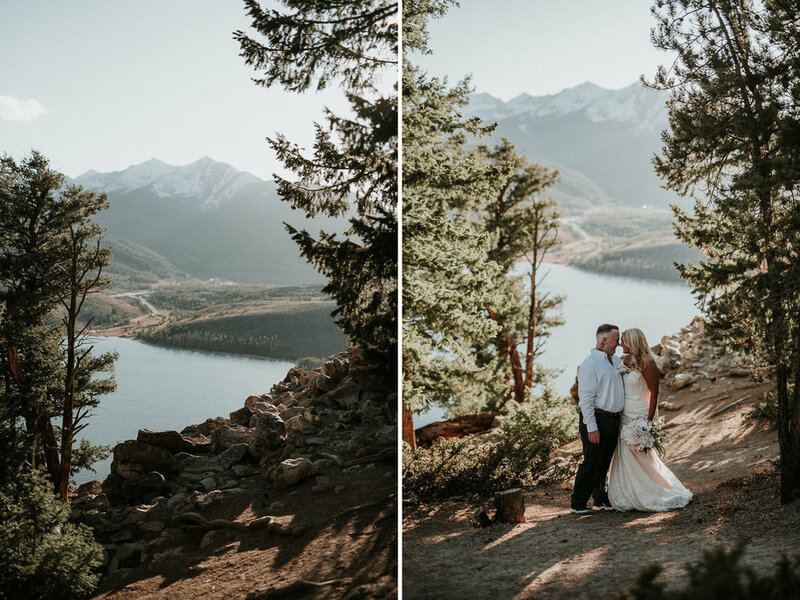 Heh heh heh When the sun dipped below the tree line, Haley and Paul shared a couple slices of their favorite food, pizza. This was important to me, and to them. We didn’t just take pretty photos. We made real, tangible memories that will live forever in these photographs. I hope you remember the summer sun and how it felt. I hope you remember laughing at my awkwardness. I hope you crave ice cream and pizza and go on a much needed date. 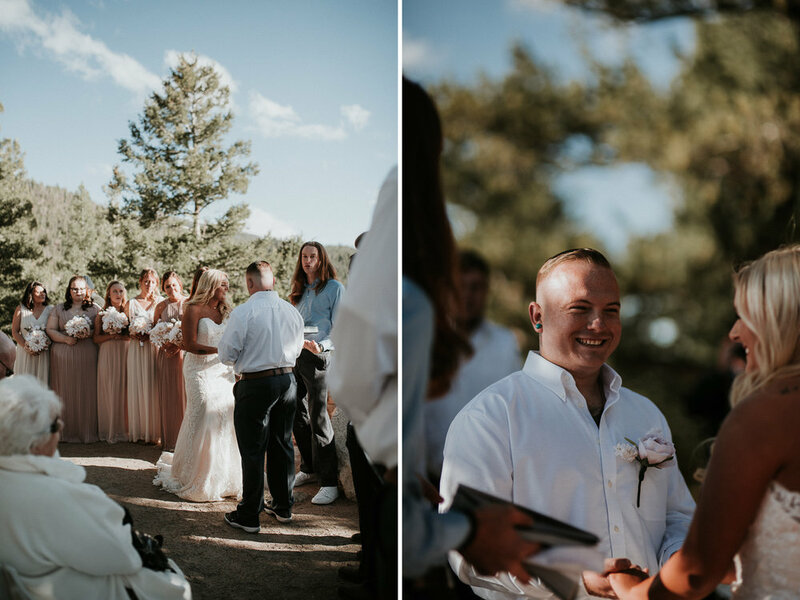 We were honored to document John and Katelyn’s wedding day back in June and have been thinking about this warm, sunny day ever since! That word was used a lot. 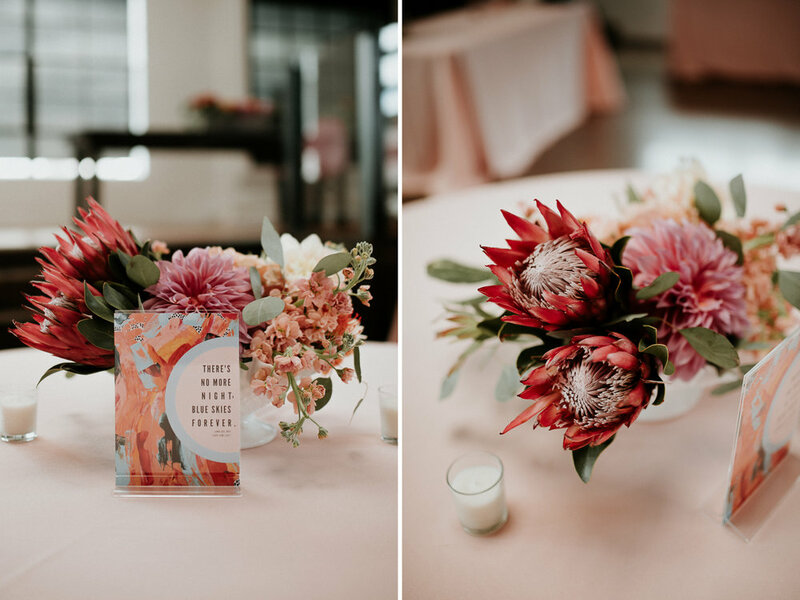 Every detail, every attendee was intentionally chosen. With all the choices in Nashville, what made you choose beautiful Green Door Gourmet? 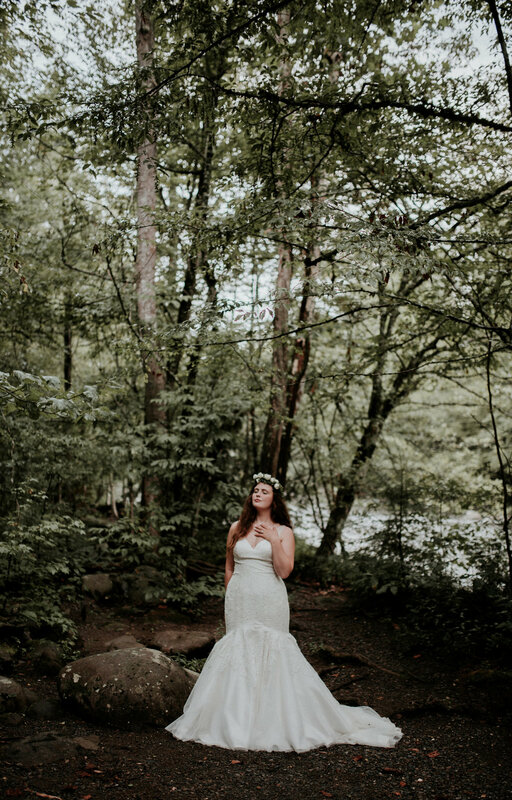 There are so many beautiful spots in Nashville, but we had to factor in the amount of guests, our budget and also what openings were available. I had also dreamed of a wedding that people could relax, sit back and enjoy at. I didn’t want something too fancy, but I wanted warm and romantic. I felt like Green Door Gourmet had the space we needed, I appreciated the price, they were willing to give us the day of the week we needed, and I just loved the rustic, yet elegant feel! 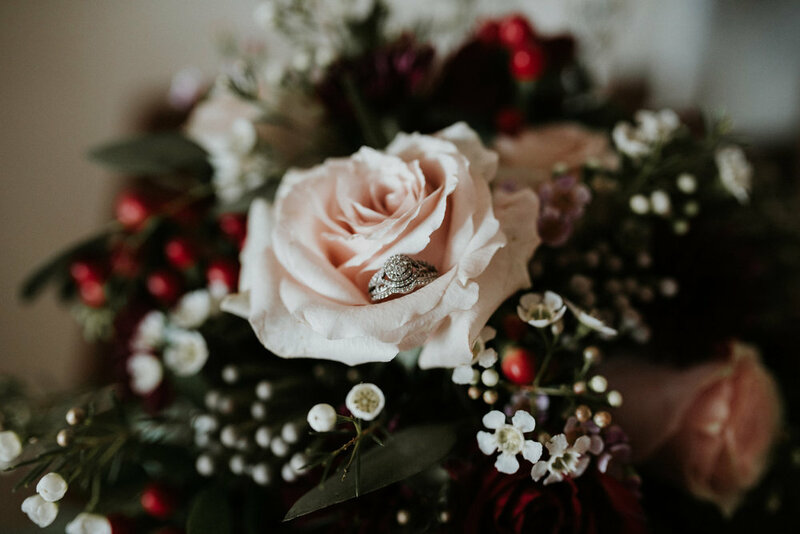 Wedding planning can be overwhelming, what was the most crucial thing you did to make it easier? 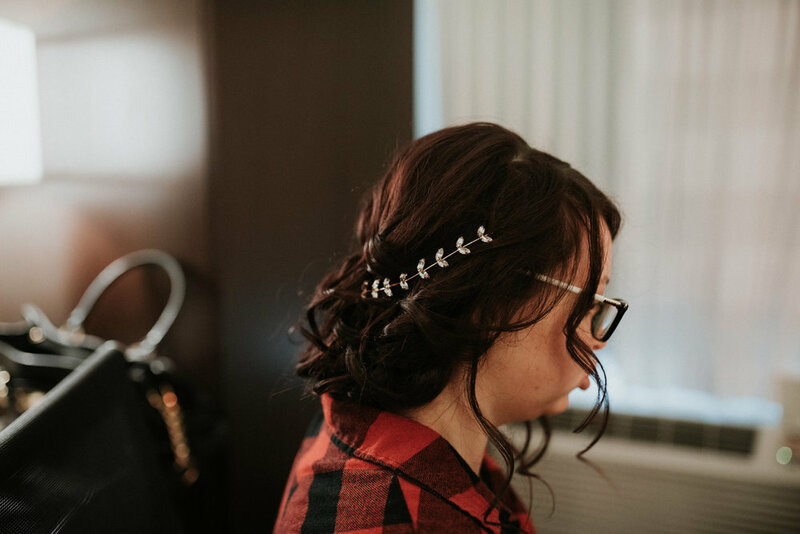 Wedding planning can be so daunting with so many details. 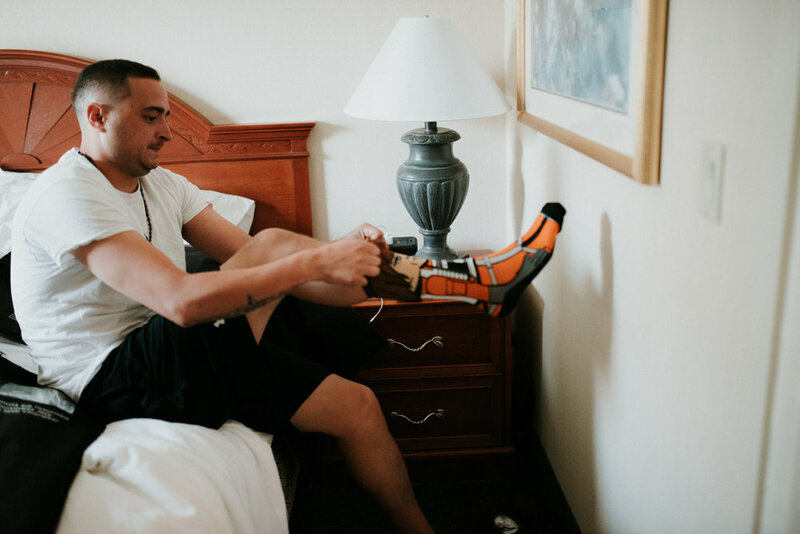 I knew I had to create a good system for myself that would allow me to pace myself as well as be able to delegate certain tasks to others helping me. 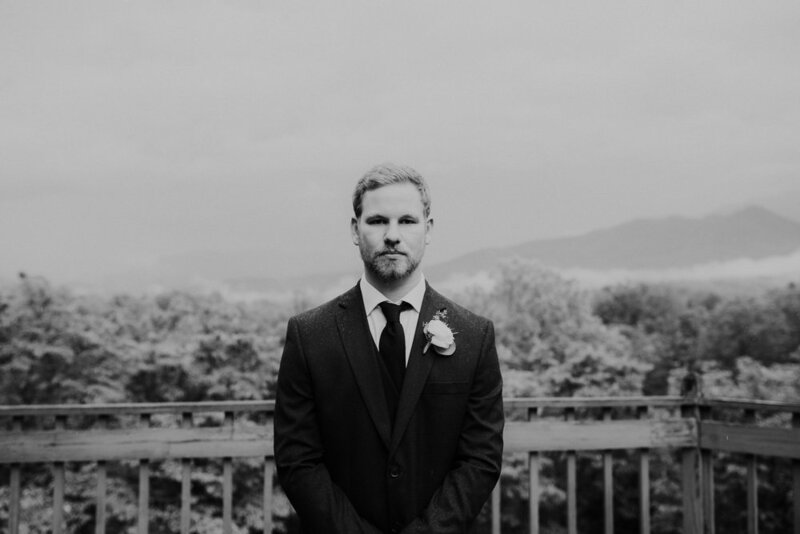 I would highly recommend making an account with the Knot.com and using their free program to help stay organized. It provided me with ideas for to-do lists and get a better gage on what I should prioritize each month. 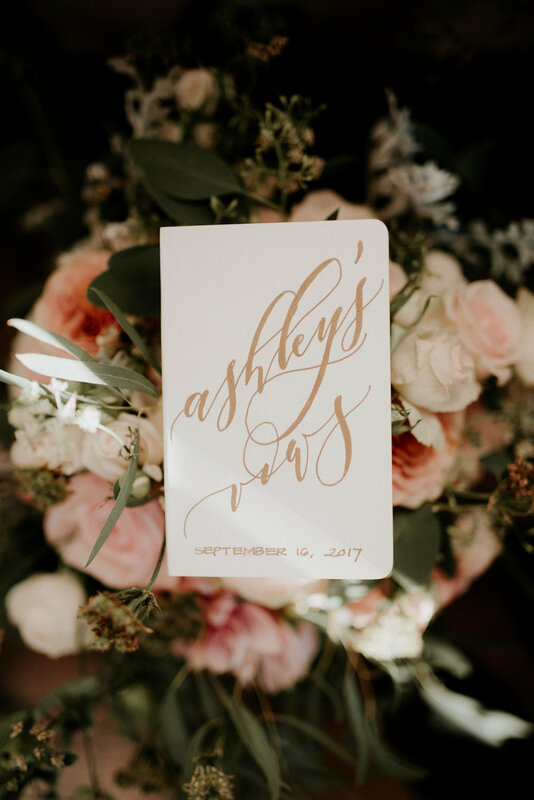 They also have a fabulous way to create a guest list which I found helped simplify a very tricky part of planning. So pacing yourself is what kept me from being too overwhelmed! Jesus was truly present in your ceremony. Tell us a little about the songs you selected! 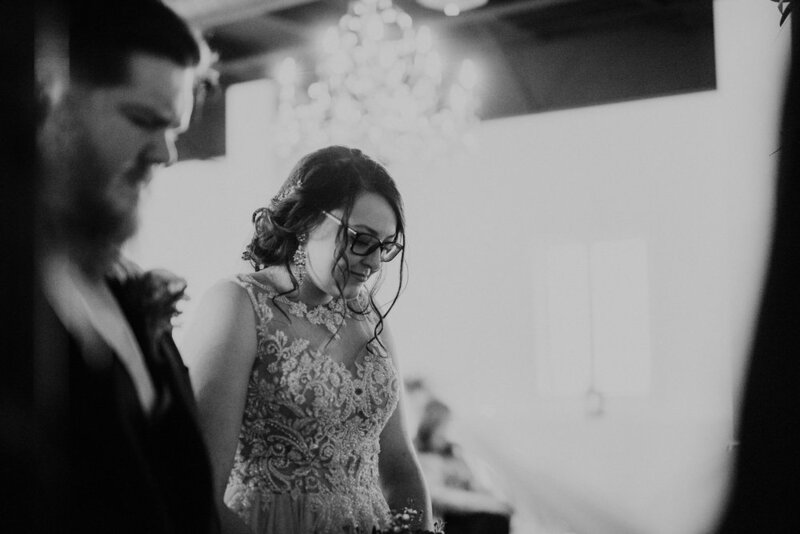 It was a big deal to me that God’s presence was both felt and honored at our wedding. I have a passion for music and worship. and it meant a lot to John and I that people would feel God’s love and light on them as they witnessed our ceremony. We chose two songs, “Be Thou my Vision” and “Great are You Lord.” The hymn is both John and I’s personal favorite. It brings perspective and is the prayer of perspective that we would put on the eyes of Jesus no matter where He takes us. We wanted this prayer to be one that would help lay a foundation for us in our life together. “Great are You Lord” was written by David Leonard who was actually the one playing at our wedding. 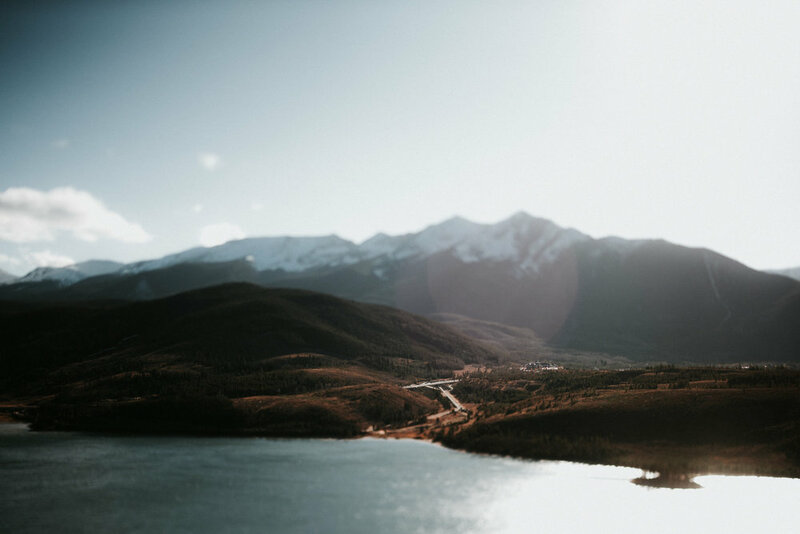 That song was birthed at the church we are all a part of and has always helped facilitate a moment to exalt the Lord in a powerful, unified manner. 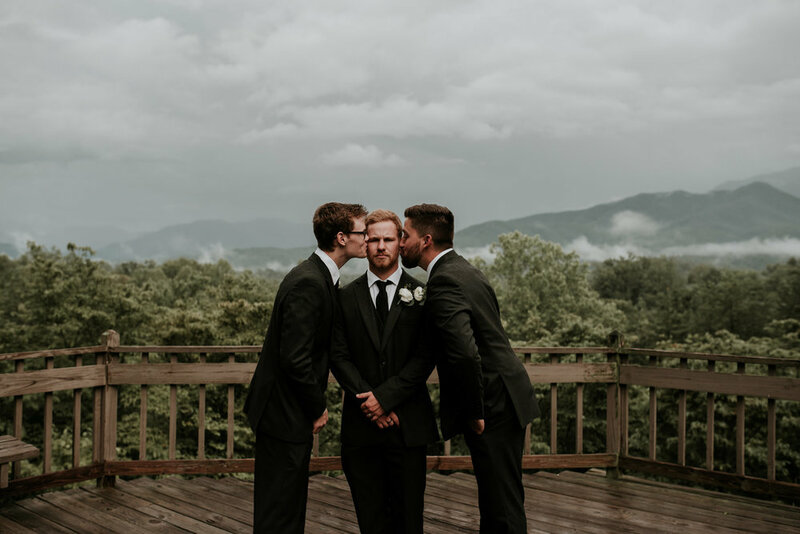 We knew our guests, ourselves, our wedding party as well as David would easily connect with this expression. 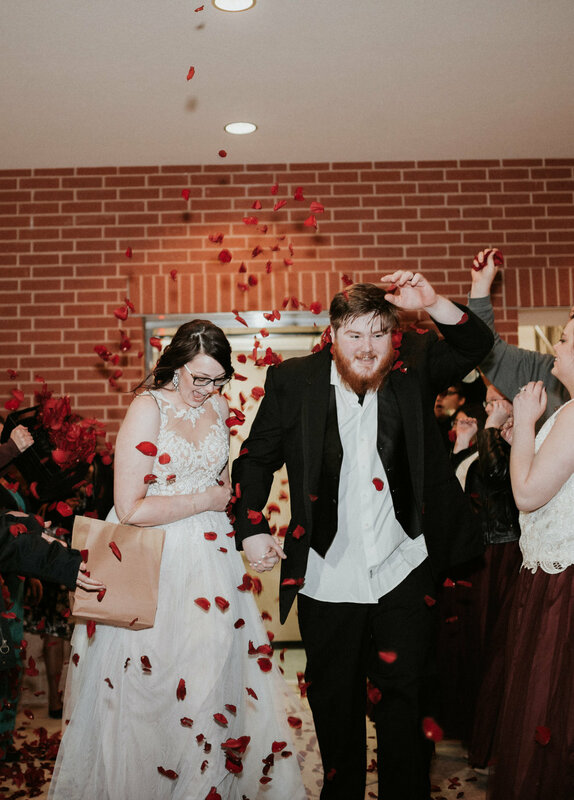 It was my favorite moment in our ceremony! 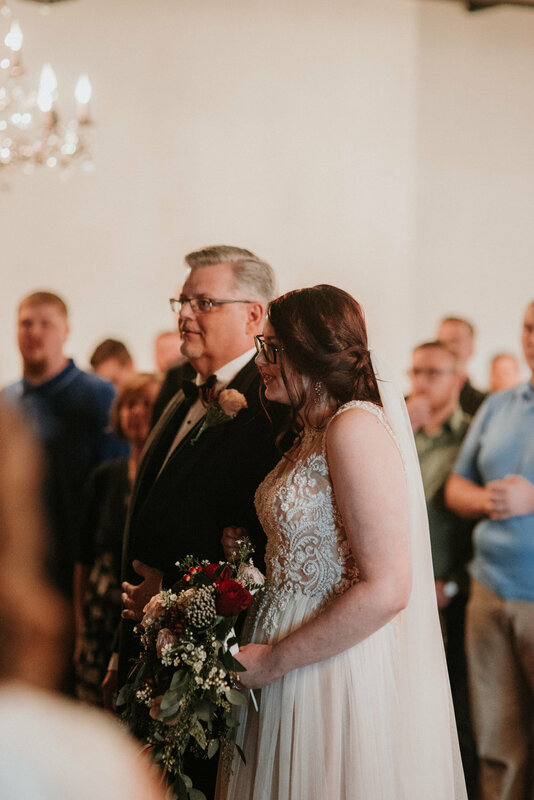 I believe the Lord loves weddings and I definitely encountered Him in this moment! 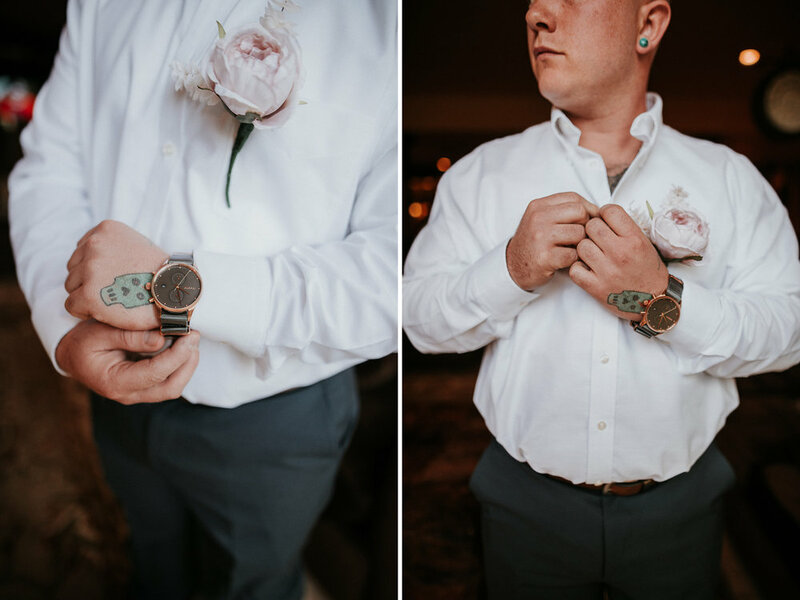 What was your favorite moment and your favorite details of the day? It is tough to narrow down my favorite parts of the day! I think there were just lots of little moments that I will forever remember as being sacred and a gift. My childhood best friend woke up early the morning of the wedding to make me breakfast and coffee and we got to just sit and celebrate what was about the happen. That was pretty cool. 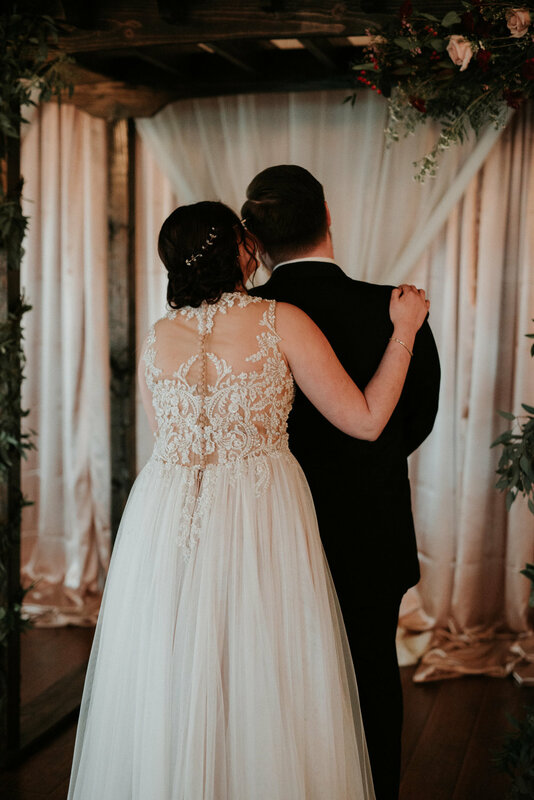 I also loved our first look. 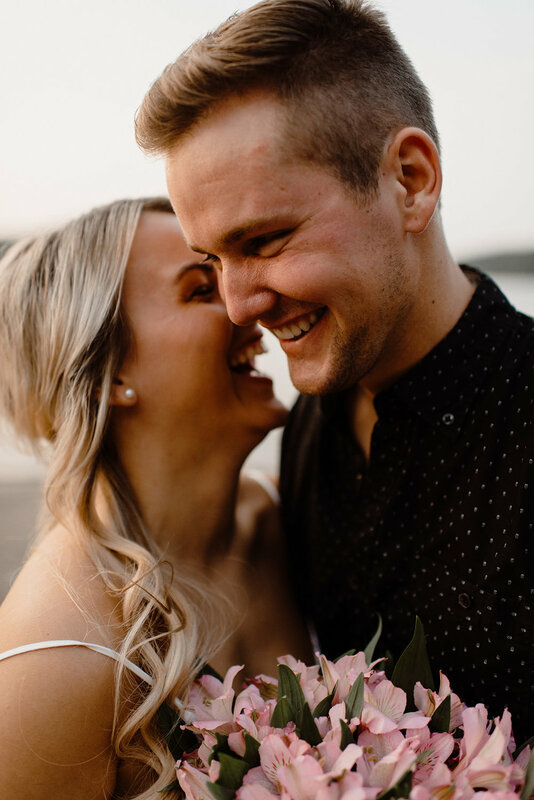 We originally were not going to do one, but we thought a moment to take a deep breath together, soak in each other’s smiles and get some jitters out would be a good idea. 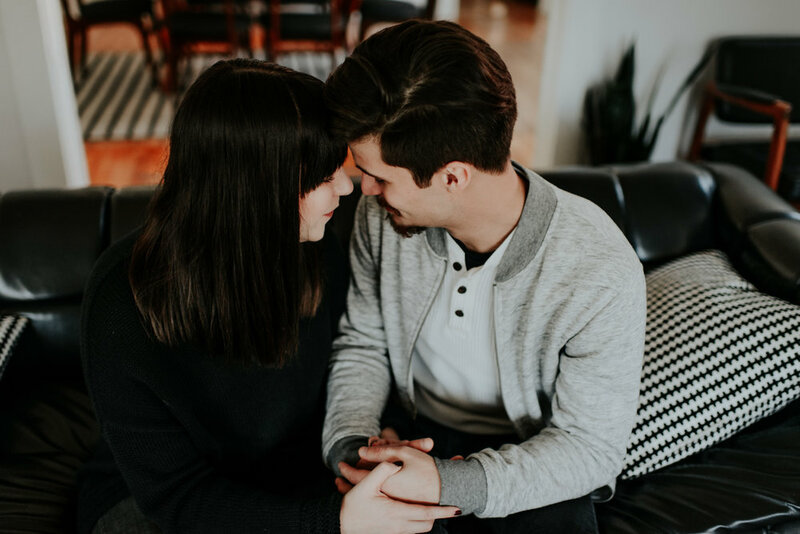 It was the most precious thing to see your almost husband look at you with adoration since us girls take such time and intentionality to dream up our perfect look. It did not disappoint! I felt so much more calm after a moment with him. I also just loved the ceremony and being able to look out in the crowd and feel an overwhelming sense of love and support. It was magic! 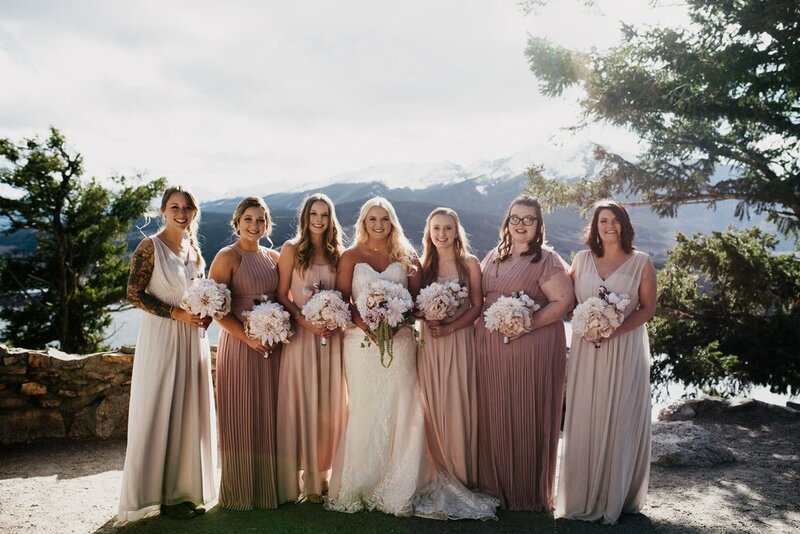 With such large bridal party, you still managed to make every person feel so important. How were you able to accomplish that? You are so kind! I think what made it easy to have so many girls, was that God has gifted me with some of the most genuine, kind, and selfless women. They had so much grace for me as I was trying to make sure to connect with each person, and they also enjoyed hanging out with each other. I think what helps too, is that I have a special history with each person I had up there with me, there is something special and sweet about each relationship. We all really know one another and so it makes being a room together much easier! I knew each one of these girls were backing me and John and knew me deeply, so even if we had a couple moments together, they felt important. I honestly just felt like they all were so flexible, ready to engage and have fun. My job felt easy. 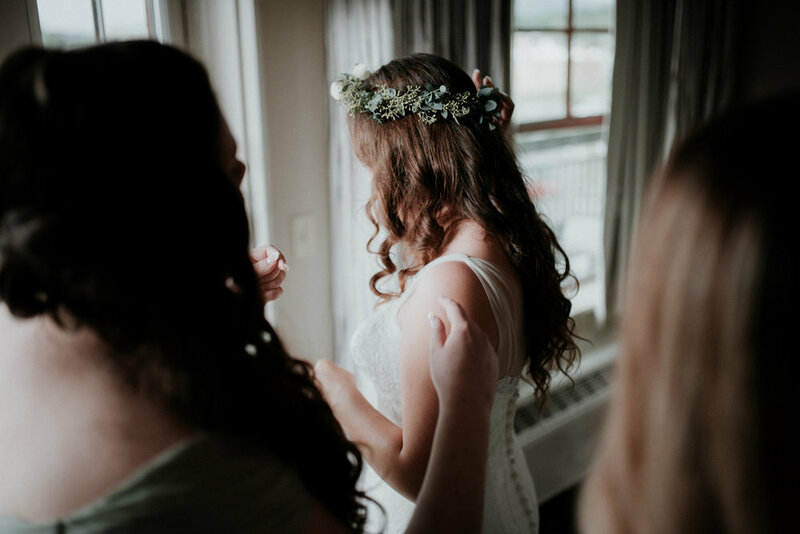 What advice would you give brides planning their wedding now? 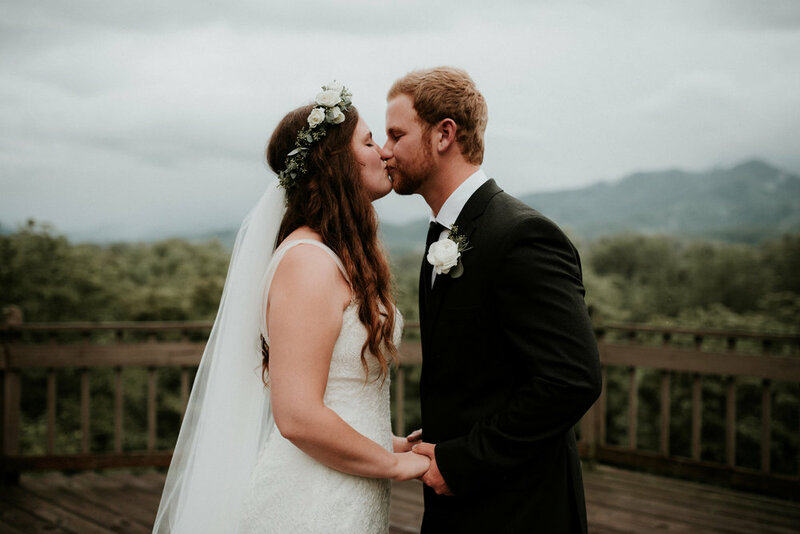 Were your happy with Zach&Rosalie as your photographers? 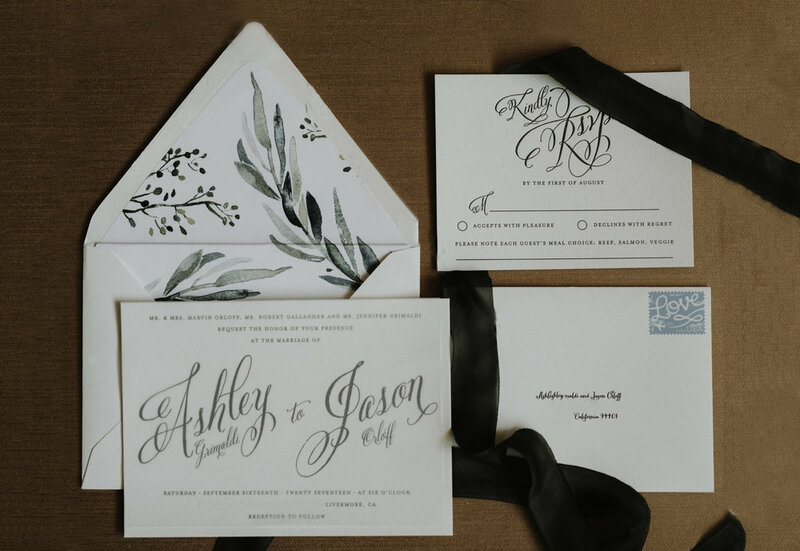 Would you recommend them to other couples planning their weddings, and if so, why? I was so pumped we went with Zach&Rosalie. 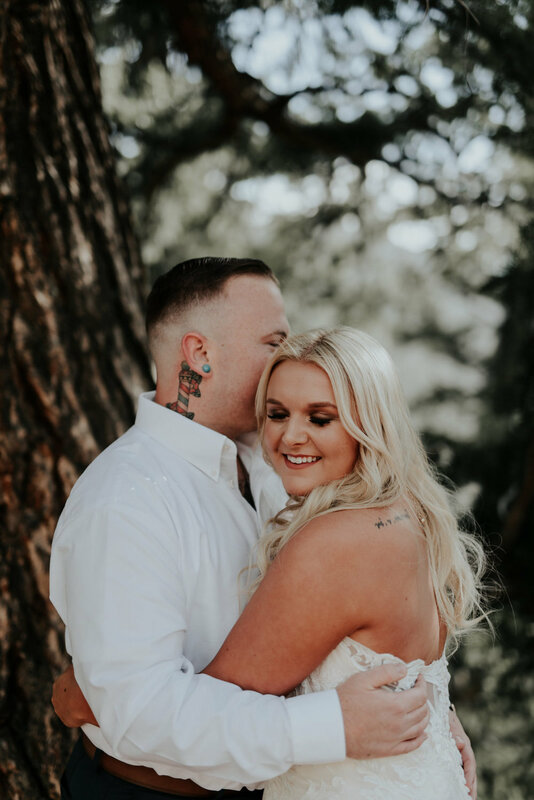 Their spirits and willingness to work with you and help make it everything you dreamed your pictures would be are amazing. I felt like they befriended us instantly and made us feel so important and special. Not to mention they are so talented. 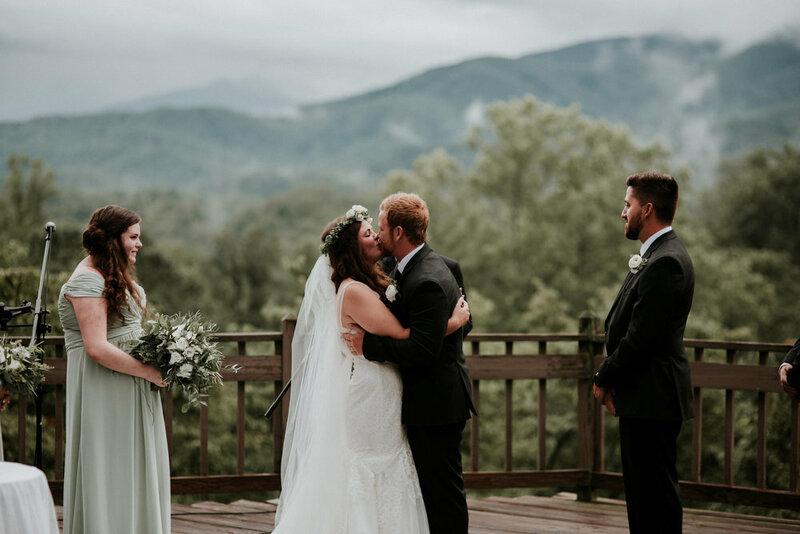 I felt like they captured the true emotion of the wedding. I look back at my pictures and smile at how so many different personalities seem to jump off the screen simply because of how they captured people and moments. They gave me tons of pictures to choose from in such a timely manner! We got to look through a huge sneak peak as we boarded our plane to the honeymoon. They were peaceful, flexible and knew what they were doing. 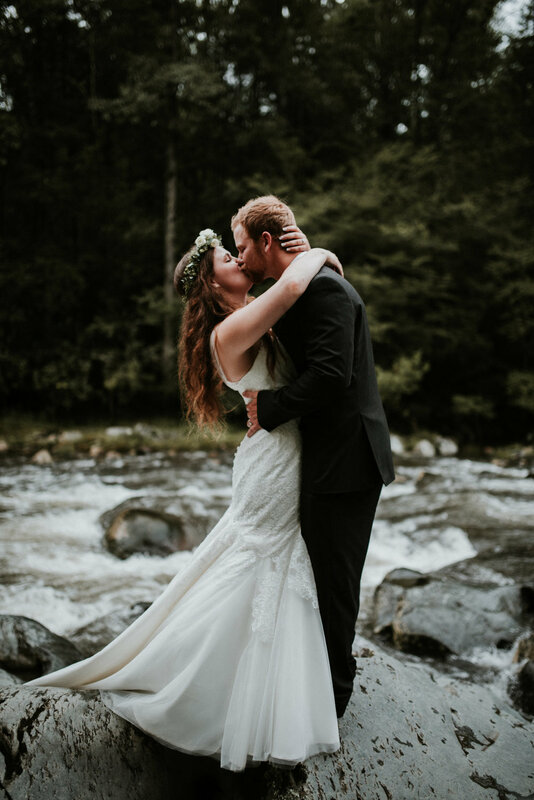 I am so happy with this choice and would recommend to anyone planning a wedding! 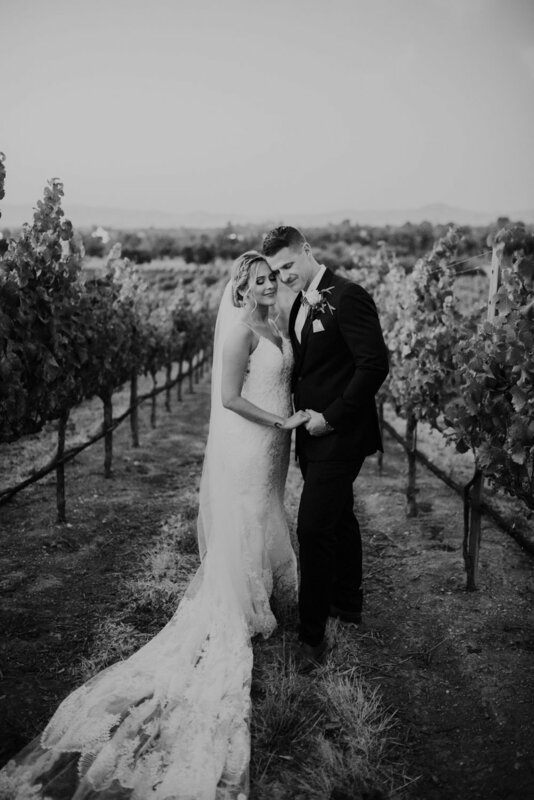 Now that you've been married for a few months, how have you and John grown as a couple? Oh man the first few months of marriage you learn SO much. I know it is a never ending process, but it is crazy how much adjusting, growing and learning you do. I have loved the process even though at times it has been raw and even hard. Two imperfect people in such close proximity takes work and commitment. But I can say what I have learned is that laughing is the best thing. Do not take yourselves too seriously. Our friendship has grown so much and being able to just create time for good conversation and being silly together seems to help with everything else! Also having mentors and community around you that you trust and point you to Jesus are huge. Invest in friendships that are healthy for you outside of marriage and do not lose your individuality. Pray together and allow God to be the jell and give you answers when you have none. It is a beautiful process!! I love being married. 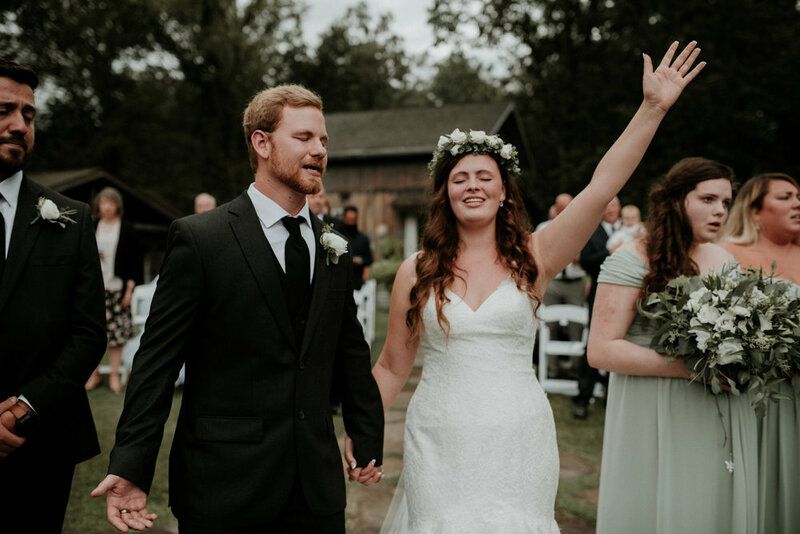 Zach and Rosalie helped capture the essence of the spirit I was praying for at the wedding. 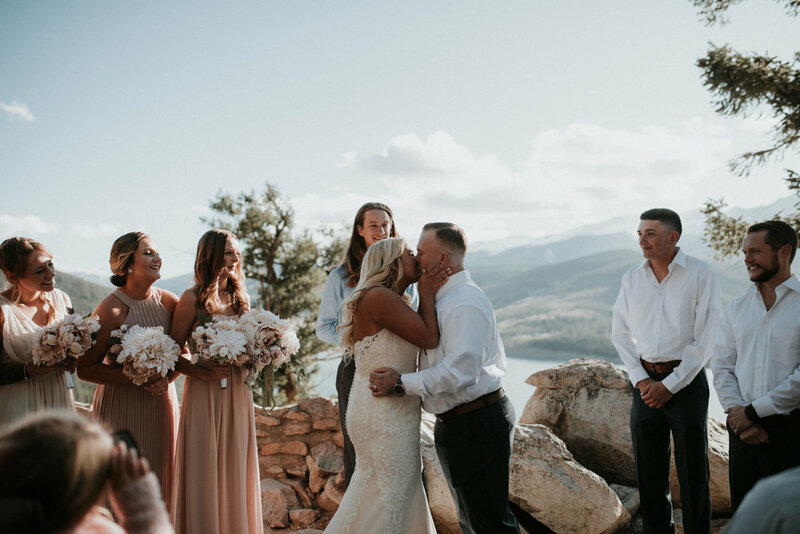 They totally got behind us as a family and jumped right in to capture so many sweet relationships and moments that I will continue to cherish forever! 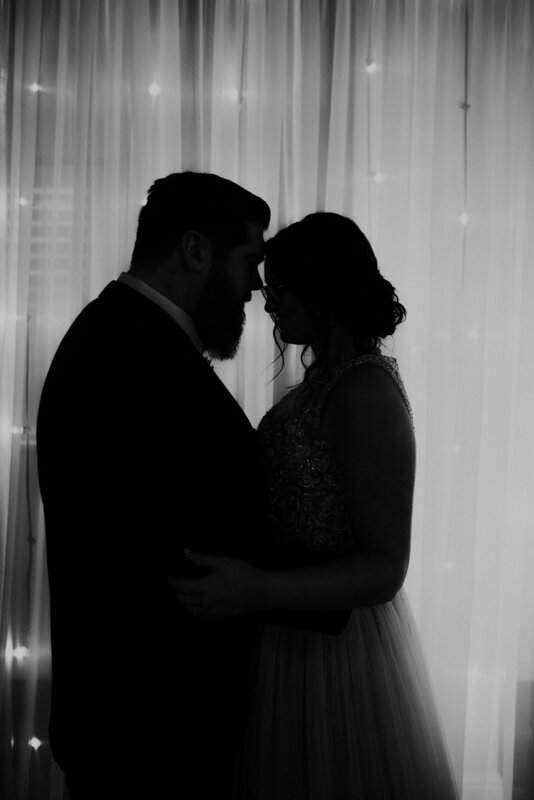 It is so important I think to find photographers who really want to know you and want to cater the experience to who you are as a unique couple and family. I feel like they made such effort to know us and know how they could best capture our day that represented so much of our lives as a whole. I am a huge fan and and am deeply grateful for their approach to this whole process! 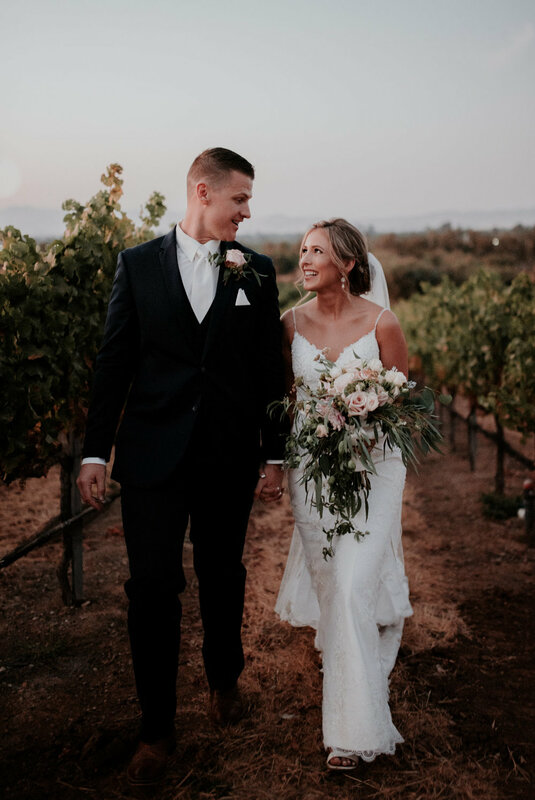 Thank you SO much for trusting us with your wedding. 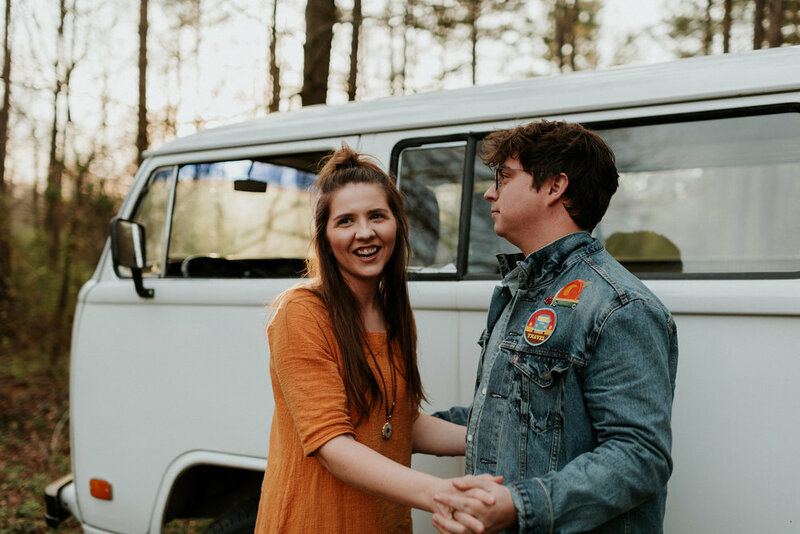 We've known Kaeli since she was eleven years old , so when she told us that she was getting married to her soul mate, we screamed! After meeting James, I knew that this was the man for our friend. He's hilarious, kind, and fiercely loyal. (Especially to the Eagles! haha) While is it was a spring day in early March, it SNOWED. 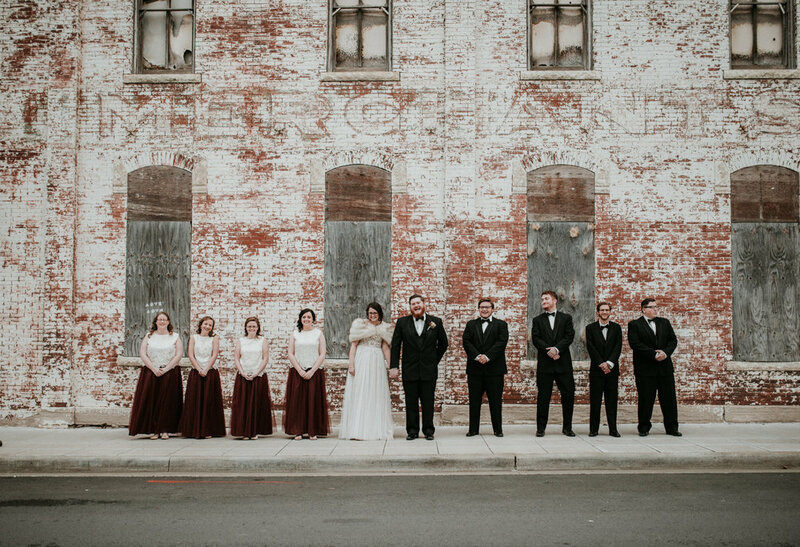 J + K and their bridal party braved the cold and snow and walked all over downtown Springfield, MO. We even when to the amazing Vandivort Hotel and Gailey's Breakfast. Omg. 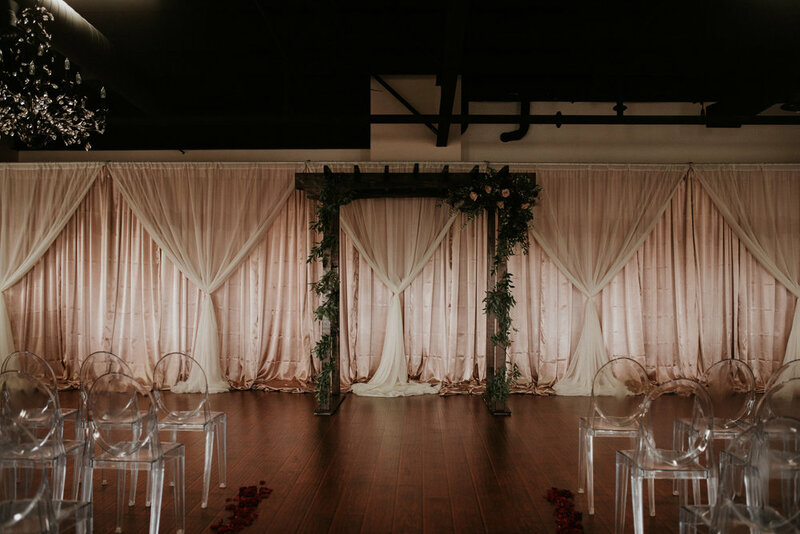 The wedding venue where they chose to get married, Old Towne Event Center, was gorgeous! 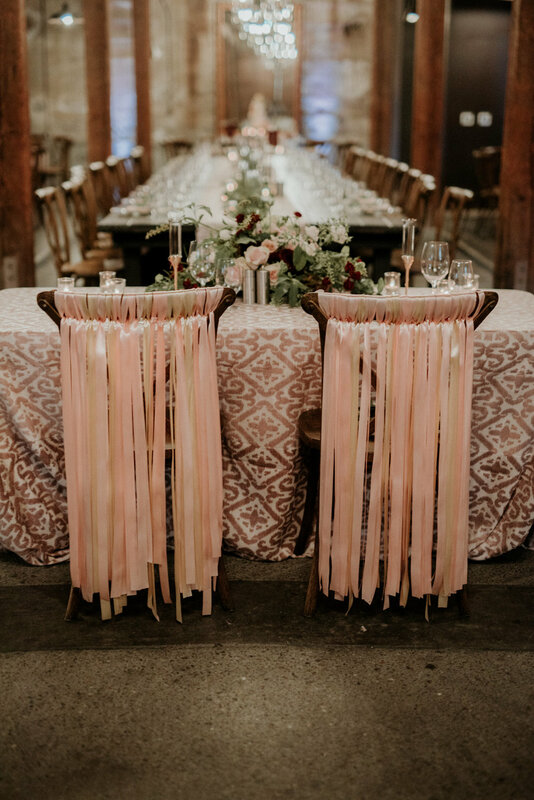 Its soft blush back drops mixed with the ghost chairs made for the dreamiest mood in their ceremony. 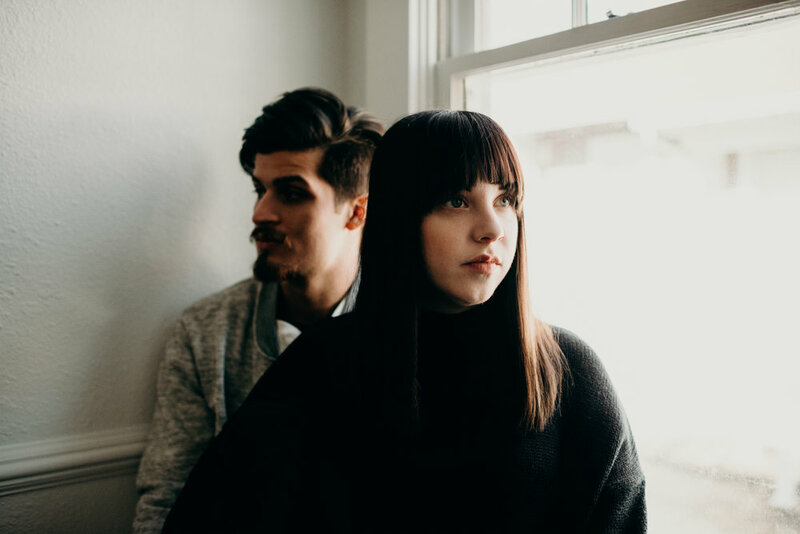 What we love about James and Kaeli so much is that they are the REALEST. 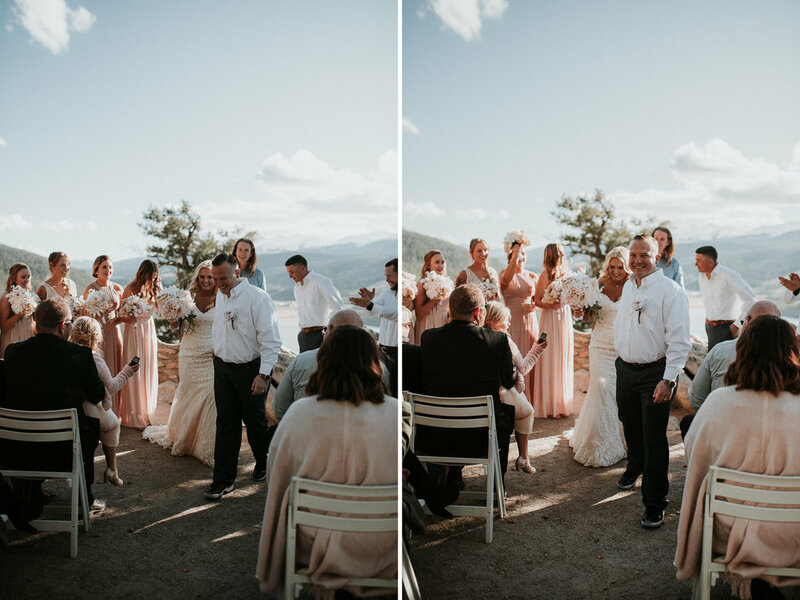 • Kaeli's parents and grandparents got married on the same exact day! • They took communion and incorporated their faith. • They registered for Dominios for their wedding registry. • They took pictures with pizza. 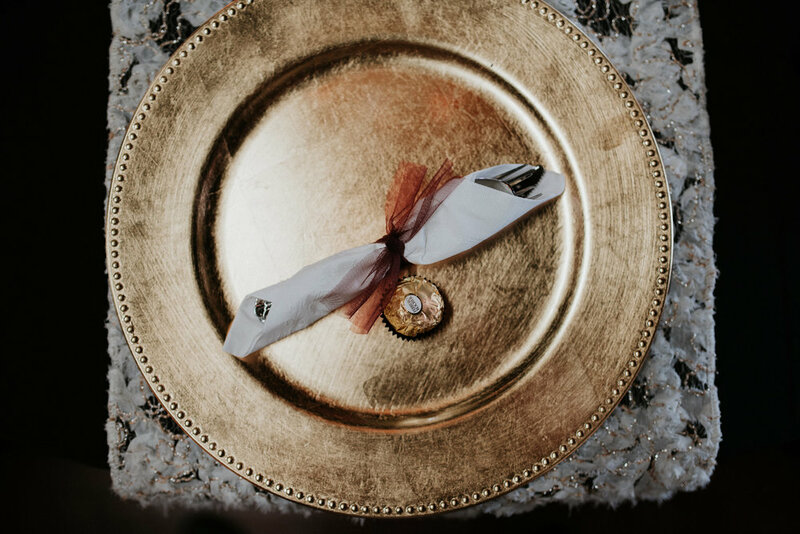 • They tossed cheese whales into each other mouths after their first look while waiting for the ceremony. • They danced their hearts out. • They hugged us a billion times. • They prioritized their own enjoyment. They had a ton of freakin fun. 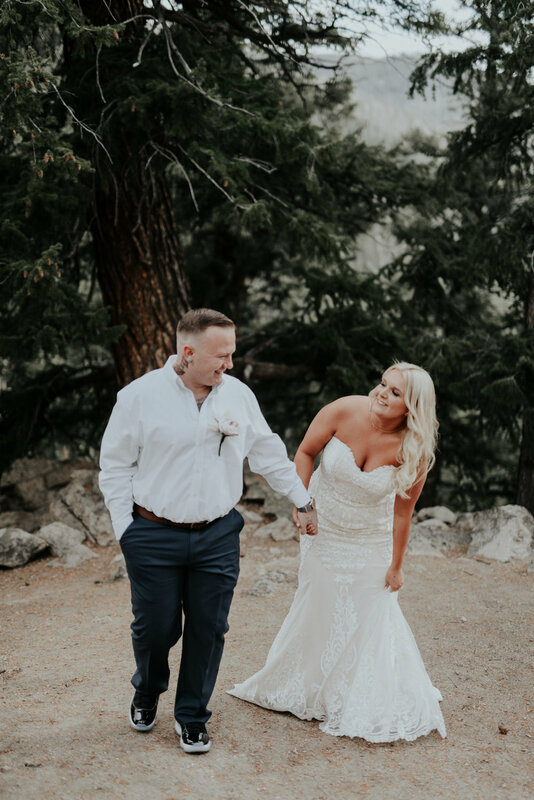 It was such an honor to be their wedding photographers. 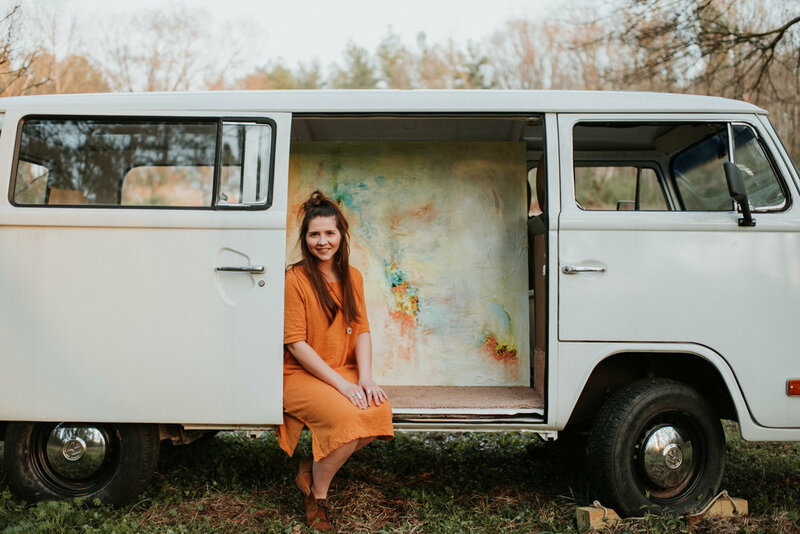 While we were visiting, these two let us photograph them on their beautiful land with their super cool VW bus! This wedding has is ALL. 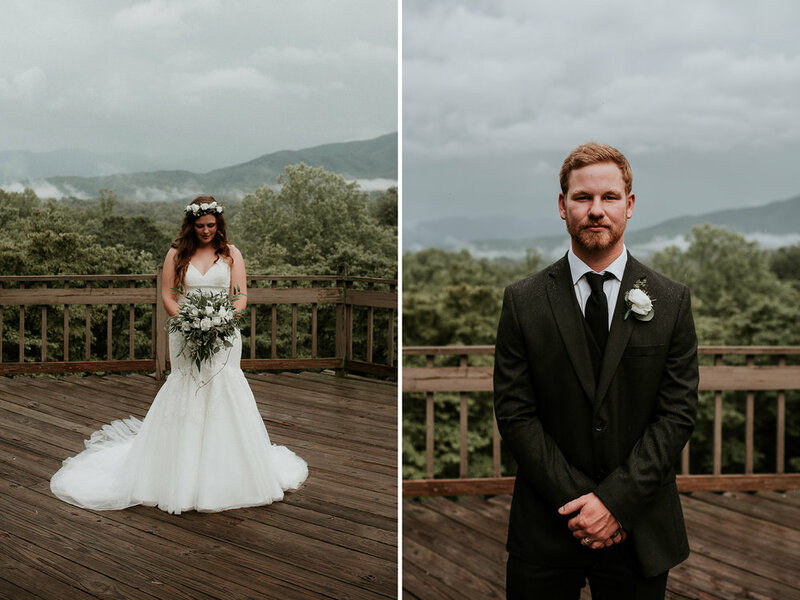 A beautiful bride in a stunning wedding dress, stunning florals and greenery, perfectly smoky mountains, and an incredible love brought by both families . 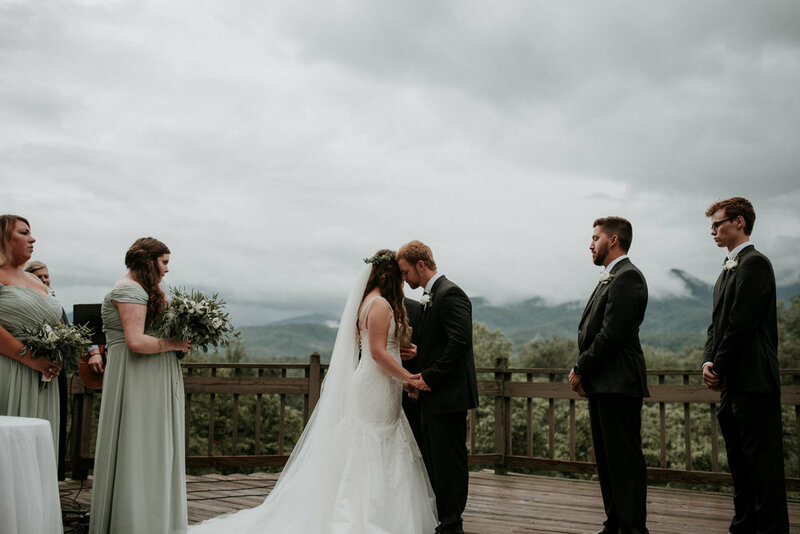 Josh and Melissa were planning a big wedding, but when they started feeling overwhelmed, they decided to live their dream and get married surrounded by their closest friends and family on top of a mountain in Tennessee. 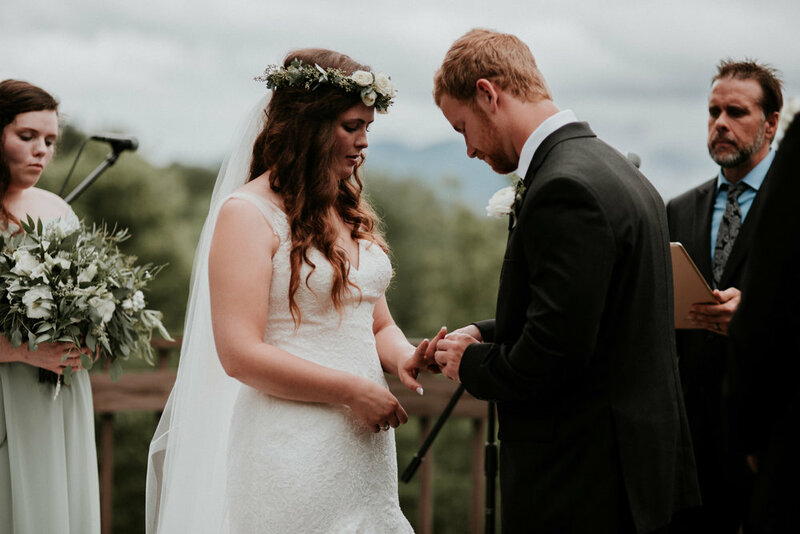 Besides a couple head over heels in love, there were two features of this wedding that gave me, Rosalie, chills all day: hints of Lord of the Rings tucked here and there, plus an amazing move of the Holy Spirit as everyone worshiped during their ceremony. But enough from me! 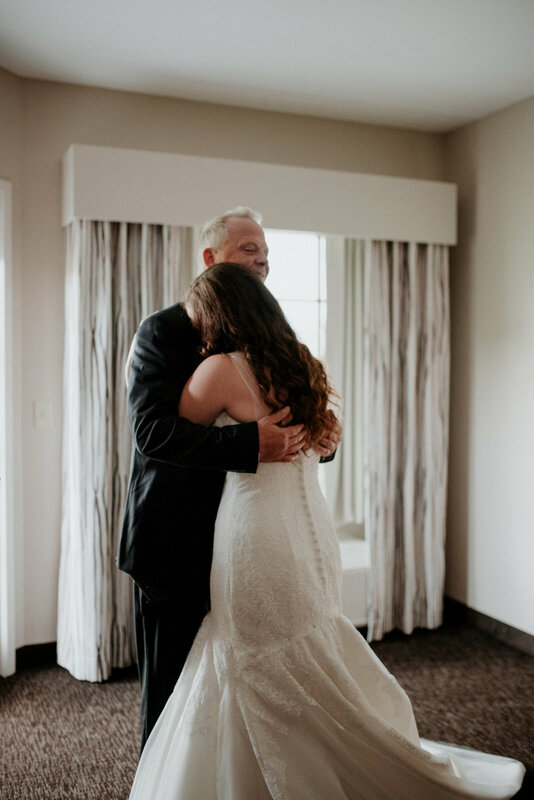 I'll let our sweet bride, Melissa take it from here! 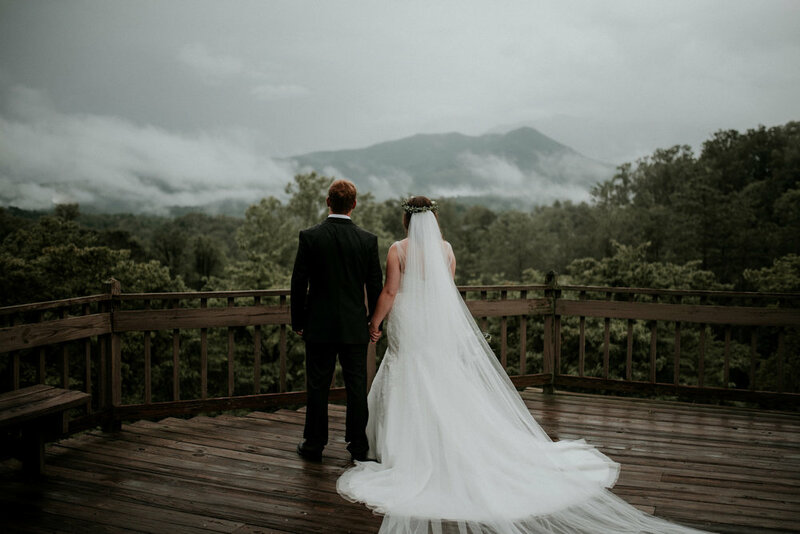 When deciding to get married in the United States, what made you choose the Smoky Mountains? Planning from another country had to be difficult! 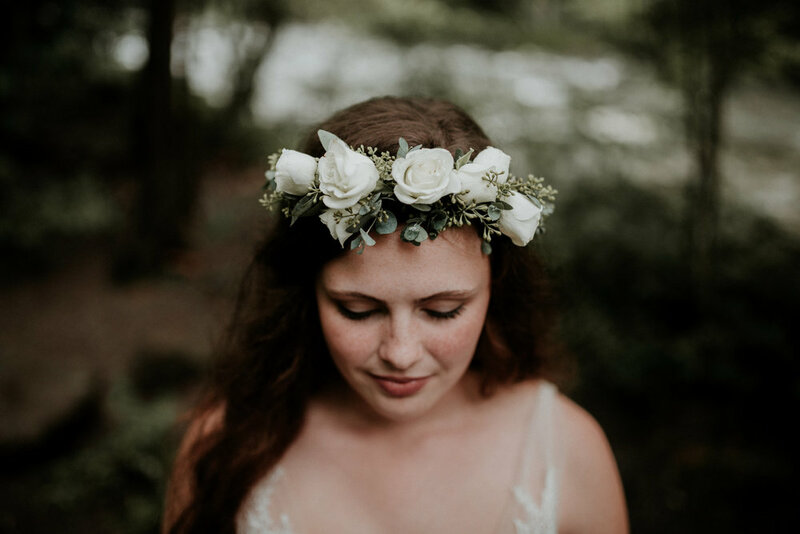 How did you go about finding vendors to work with for your wedding day? Initially when searching for vendors we did a lot of internet searches! 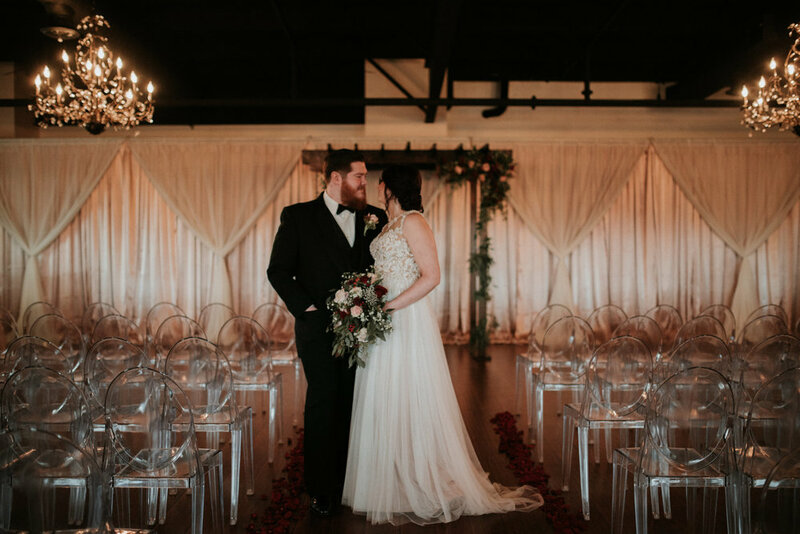 Reading reviews, making calls and sending emails definitely made up a lot of our planning time! Having a family friend who lived at our destination definitely helped as they were able to recommend a few places as well! We also found our wonderful photographers through a photographer I had been talking with in Canada! 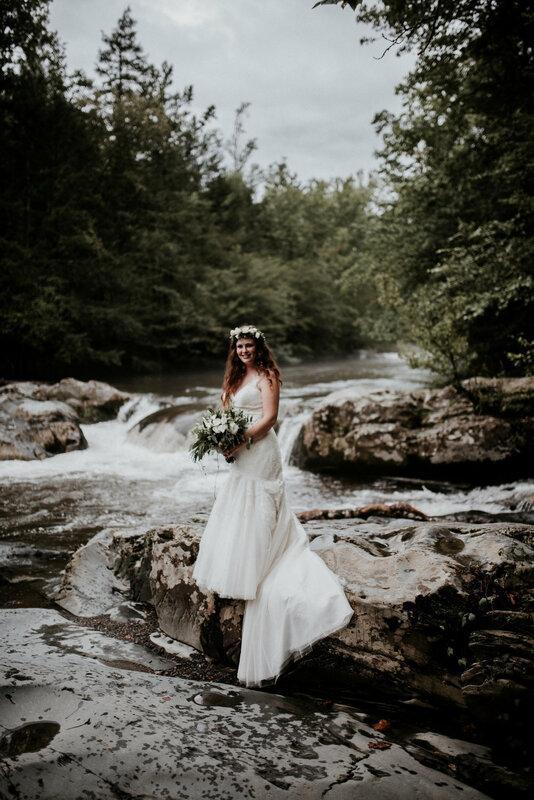 She reached out on a wedding photographer community platform with our story and sent us a list of photographers that were interested in working with us (which was amazing)! How did you get both of your families on board? Both of our families were extremely supportive! 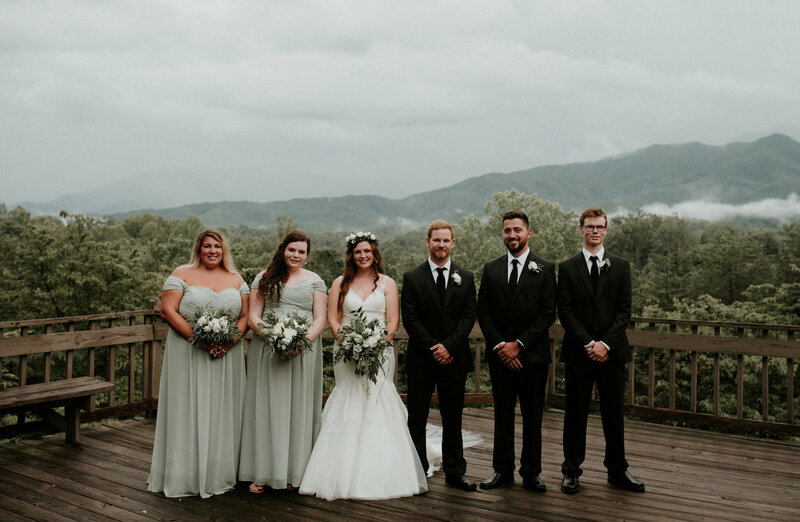 They had known that the traditional big wedding wasn’t something that either Josh or I felt fit with us. 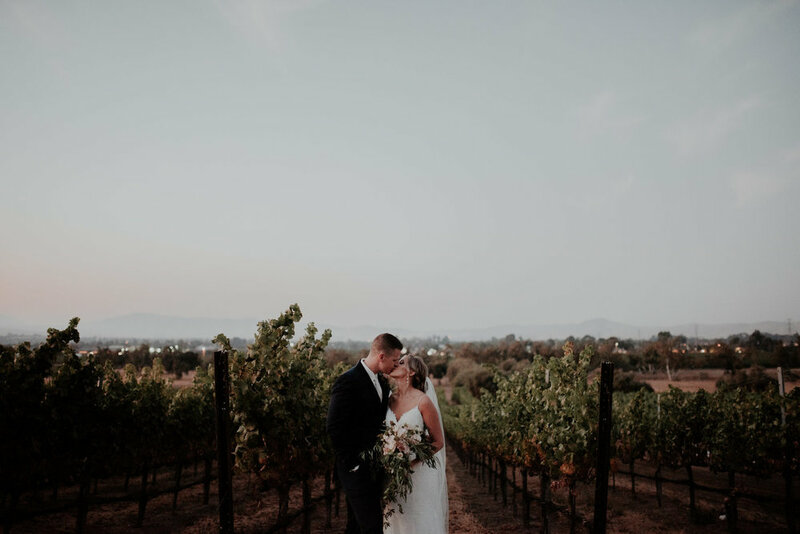 They were incredible throughout the whole process: helping with contacting vendors, reassuring us when we were stressed and working with us to make our day match our vision. 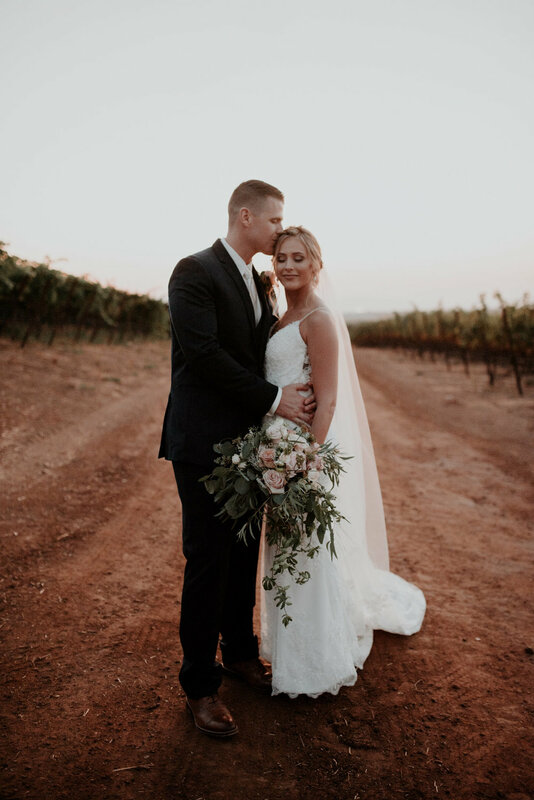 It may initially be difficult when making the decision to have a destination wedding, with the opinions and expectations of so many people looming over your head. BUT, it is so worth it! Having a wedding day that is truly what YOU as a couple want is so priceless. Looking back and saying “that was OUR day” without a doubt is so amazing. 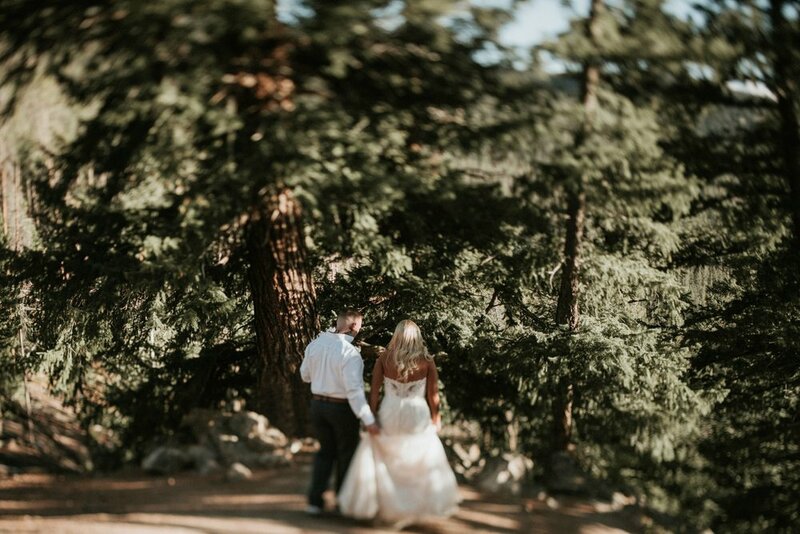 We also absolutely loved being able to explore a new place together as newly weds. It was such an amazing adventure and I can’t recommend it enough! and are here to offer some solid advice for you! 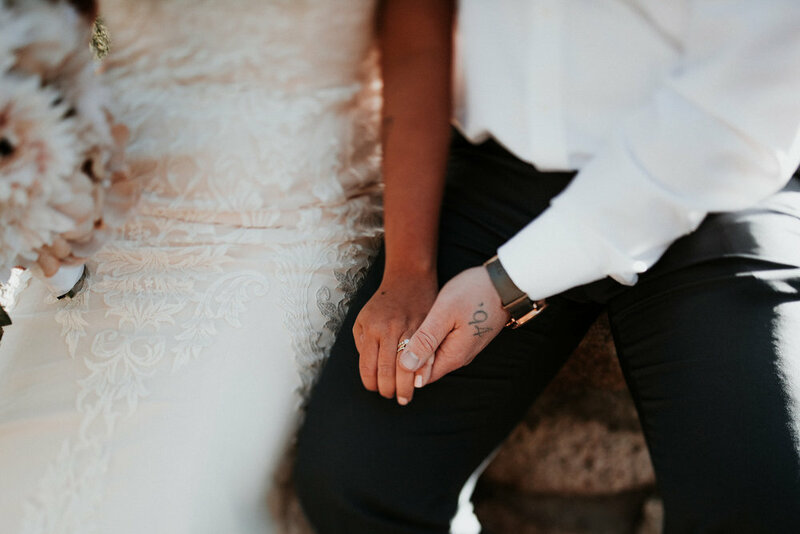 Whatever state or country you choose, the first thing that you should check off your to-do list is look up the state/country/regions laws and requirements for legal marriage! We know that each state has similar, but sometimes different requirements for couples who wish to get married. 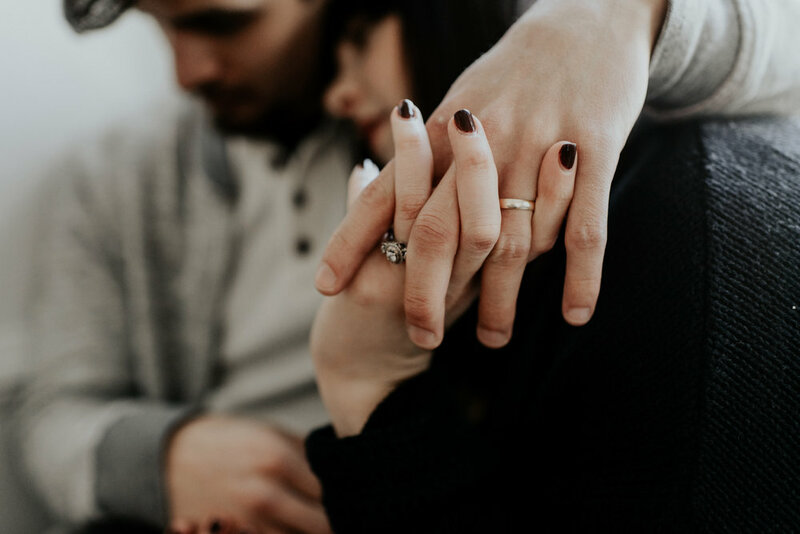 For example, in some states, like Connecticut, you do not need to be a resident to receive a marriage license, but you do need to apply either in the town where you plan on getting married. And then there are states like Arkansas where a marriage license can be used statewide! Check for wait times too! Some states have a waiting period of three days after applying to receive a marriage license. 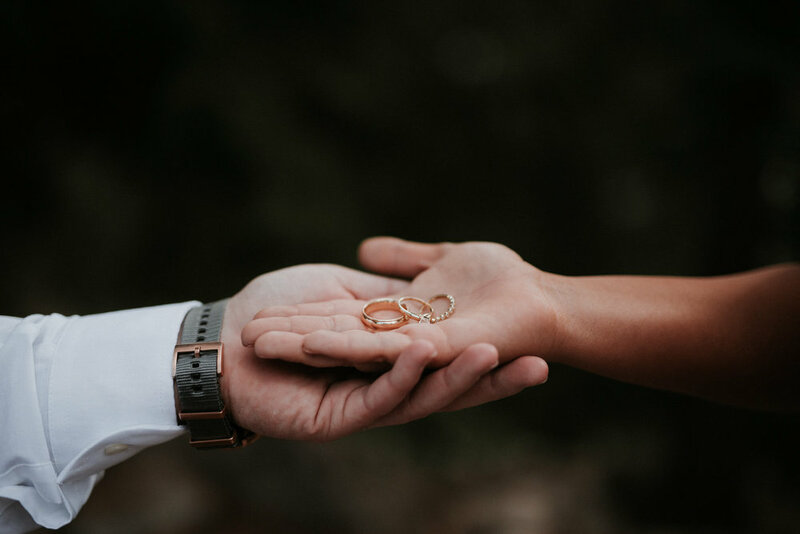 If you're planning on getting married in a state with that requirement, it is probably best to get there at least three days before the weekend just to be sure. (Depending on if their courthouse is open on the weekends!) Each state has different needs when it comes to applications as well, so read up and make sure you bring all of the right papers, ID's, and whatever else may be required! 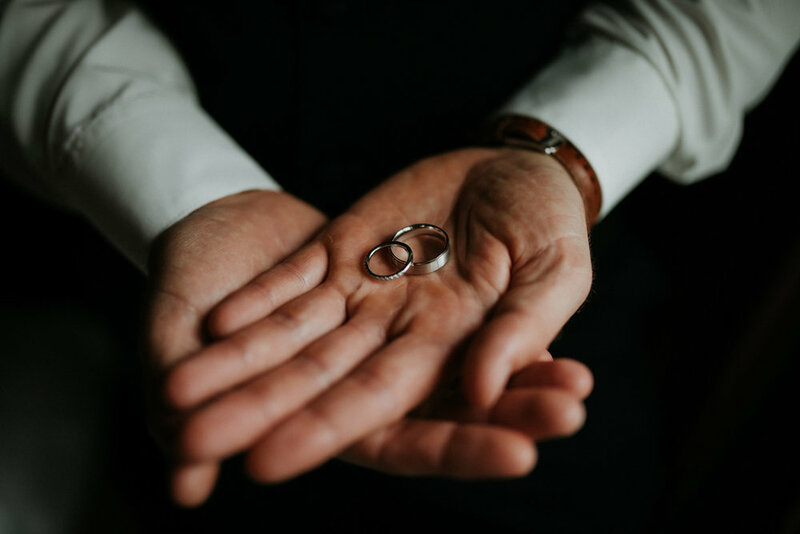 Click HERE for a full list of US States and their requirements for out of state marriage! 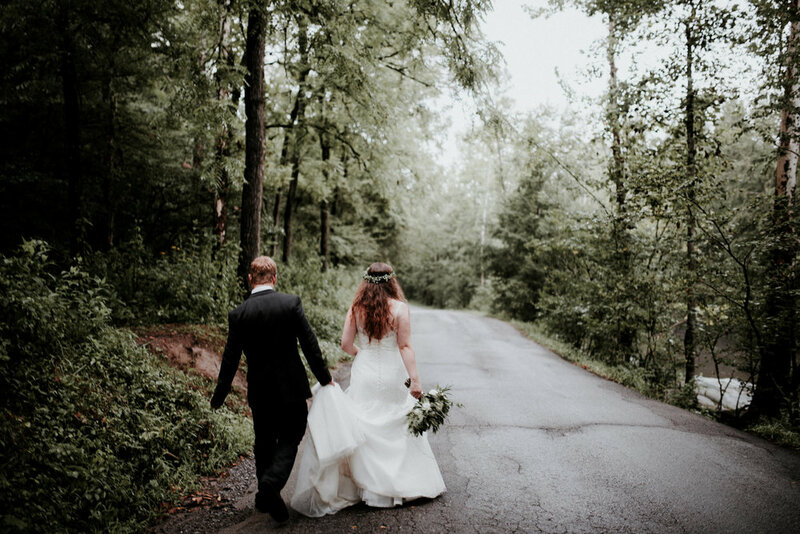 Visit the area as a weekend get away to really get you in the mood for your wedding! 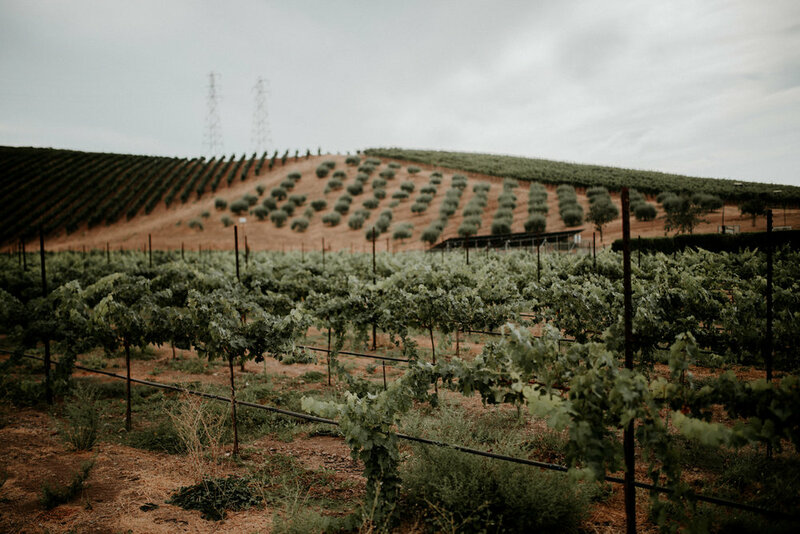 Schedule tours with your favorite venues or if you've been before, maybe pick a spot that is super special to you? Could be a lookout on a hiking trail or the taco bar where you first met! 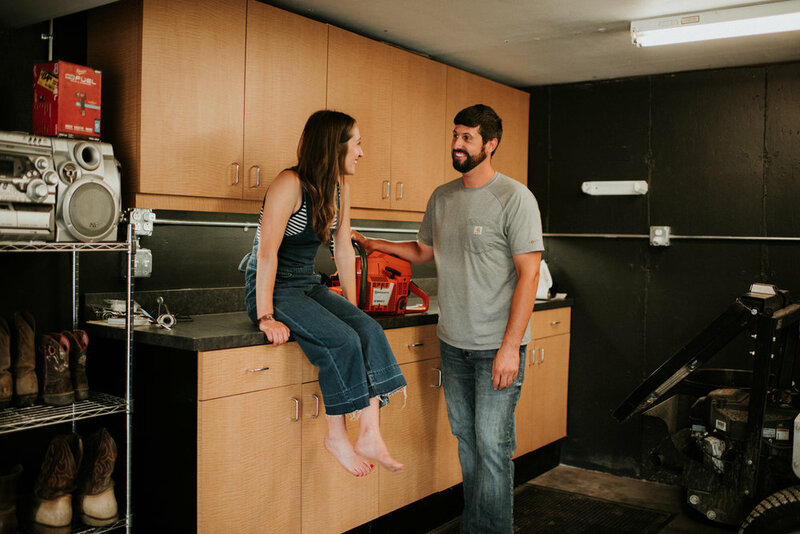 Stay in a few cute AirBNB's in close proximity and re-rent your two favorites as getting ready locations for the guys + the girls. 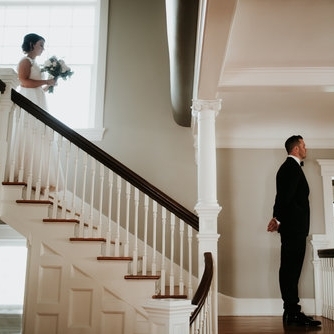 Plot twist: Get MARRIED at an AirBNB! Super affordable and endless locations, prices, and quirkiness right at your fingertips! Great resources to find THE PLACE! 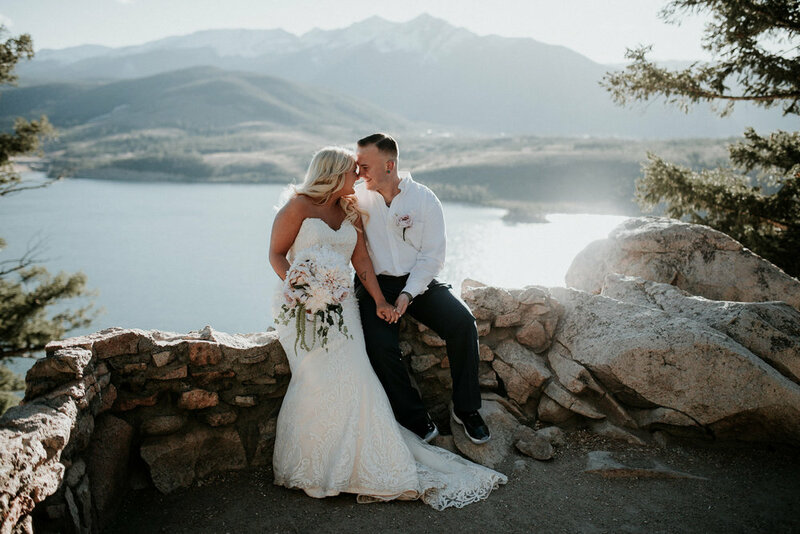 • National Parks Websites or Vacationing there and adventuring to find the perfect place to say I do! 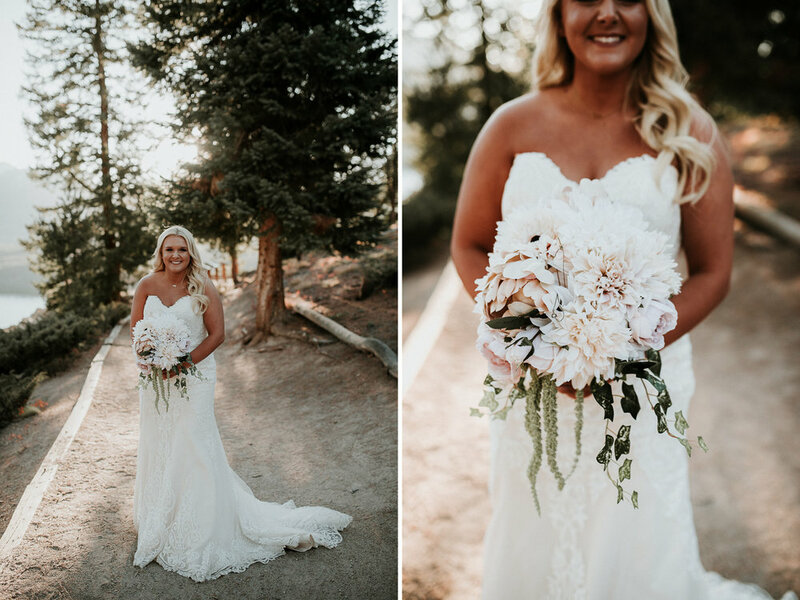 • Or the best options: ask your photographer or coordinator!! 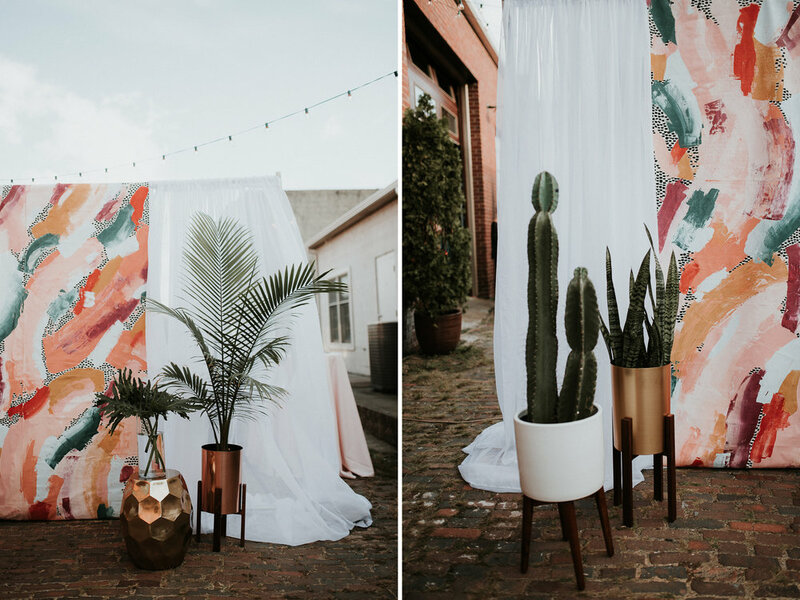 #1 TIP - DON'T BE AFRAID TO ASK UNCONVENTIONAL SPACES IF THEY'D BE WILLING TO HOST YOUR WEDDING! The worst they can do is say no! Finding vendors can be, yeah we know it, overwhelming! 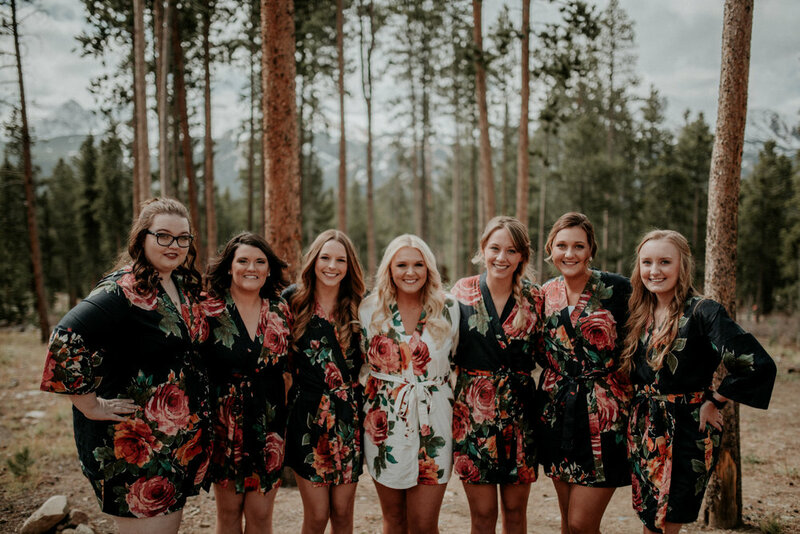 As a photographer who has personally helped clients plan out of state weddings I can tell you that my NUMBER ONE recommendation is to find a wedding coordinator that you love. 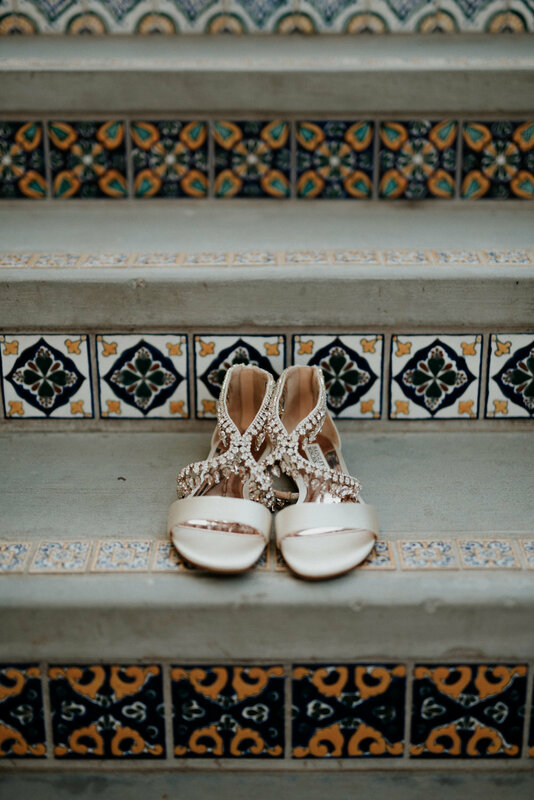 We have three that we adore and always recommend for destination weddings/elopements. (In Alphabetical order, because we love them all!) 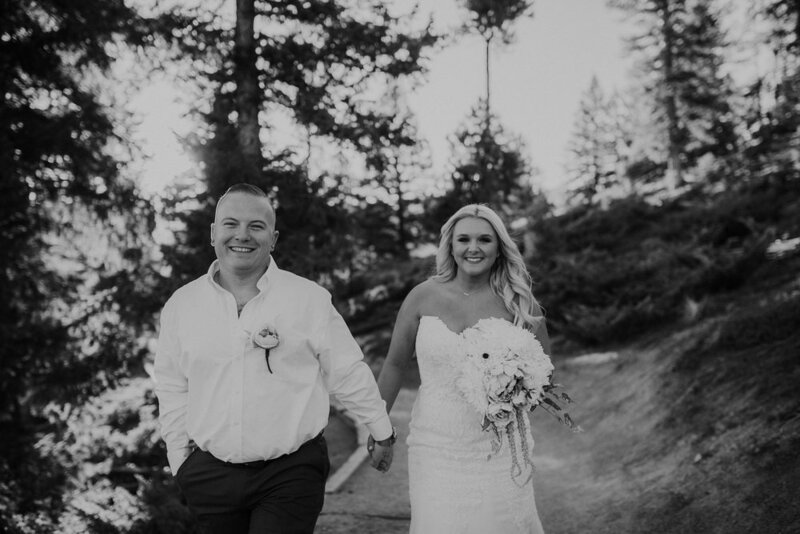 Brannan Events - Bridezilla Events - He&She Weddings . 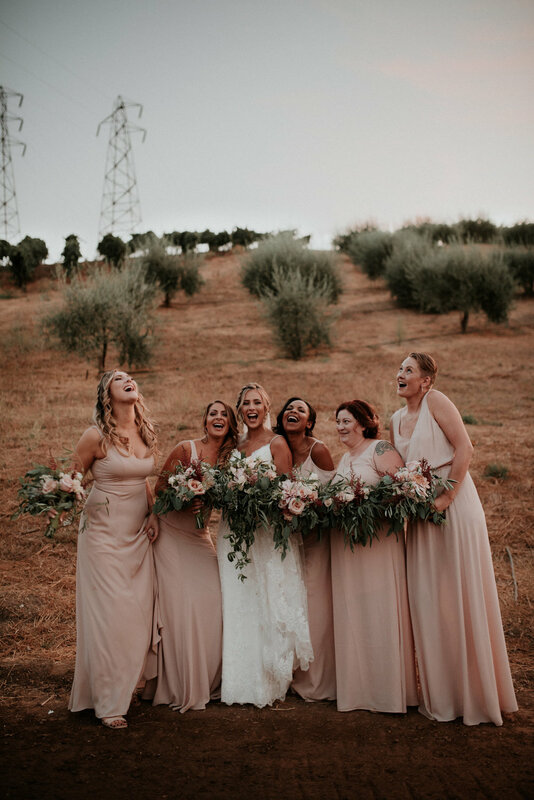 If you decide to go it alone, we recommend looking at hashtags on instagram using your venue/location and then the category you're looking for. 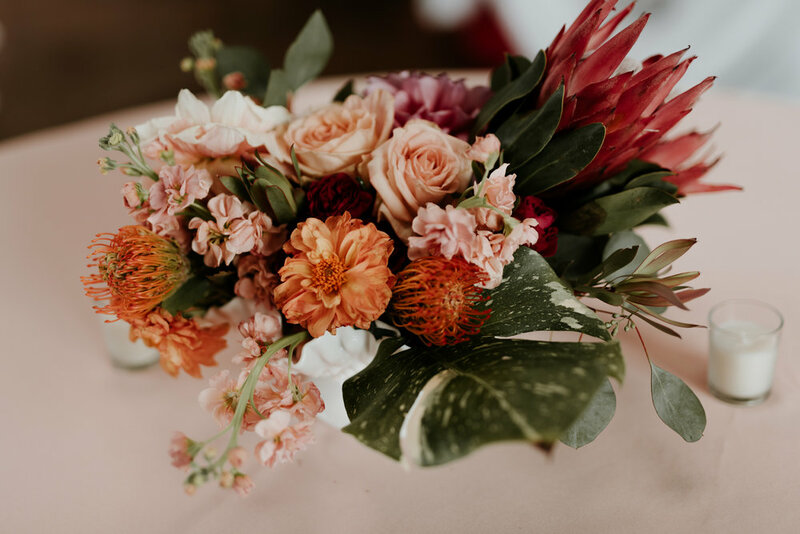 #yourweddingdestinationflorals/dj/weddingrentals. 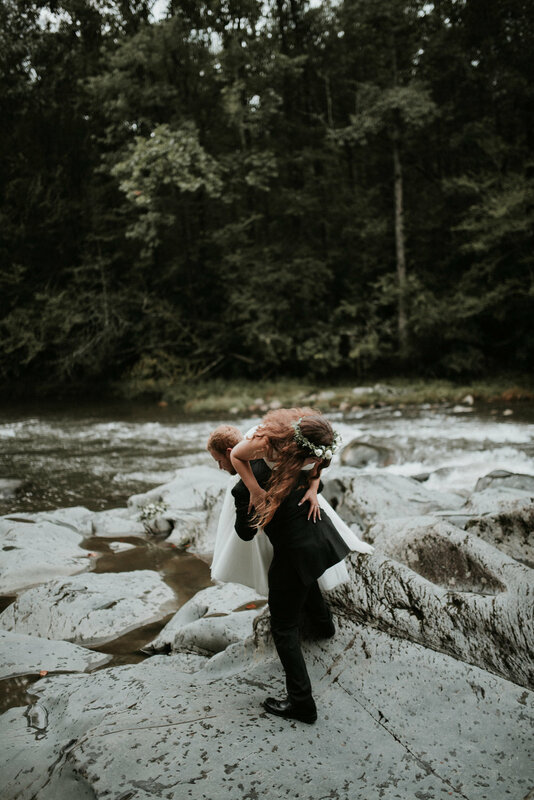 Junebug Weddings is also a great resource when looking for vendors after you've found your photographer. Is it overwhelming thinking about getting everyone you've ever met in one spot? Consider eloping. 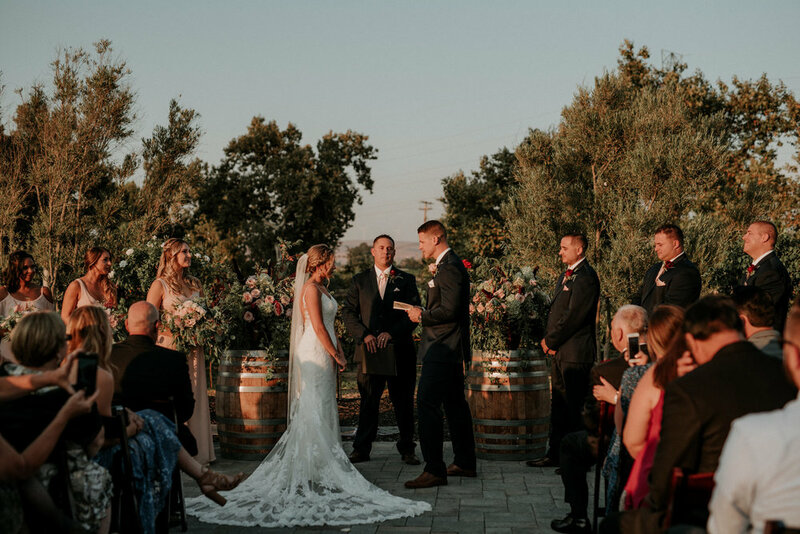 You can still have all of the beauty of the vows and plan a really great reception for when you come home! 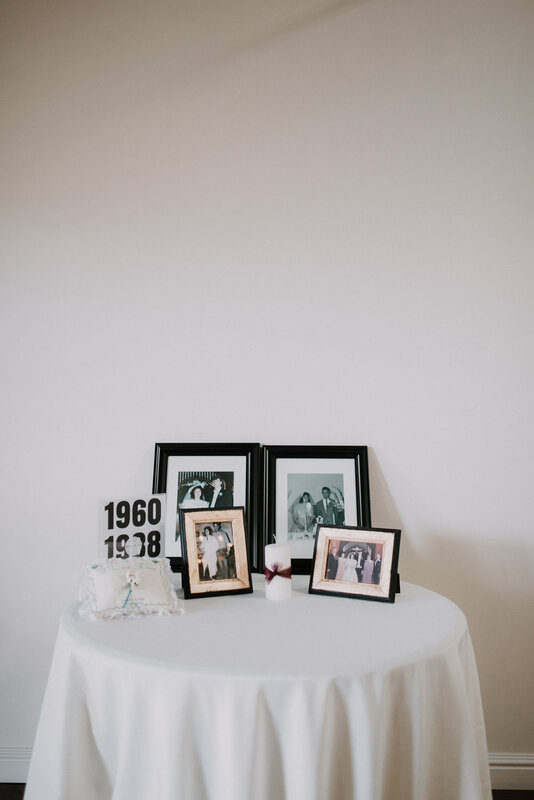 Print a couple of albums for your parents and show your video and printed photos at your reception to make your guests feel involved! 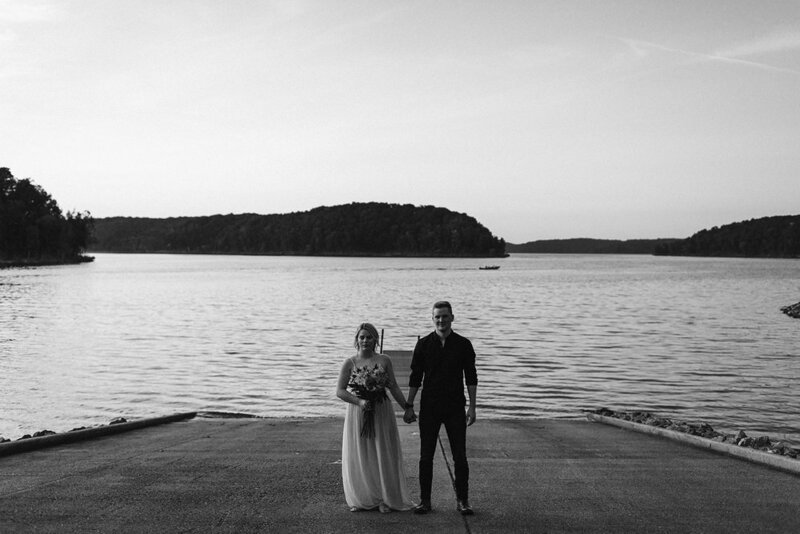 Eloping opens a whole new freedom in choosing a wedding venue stateside and abroad. You can squeeze into little spaces! Not overwhelmed? Consider the AirBNB option! Rent one or two large spaces that can accommodate multiple families and save money by getting married there. There are some really amazing options. 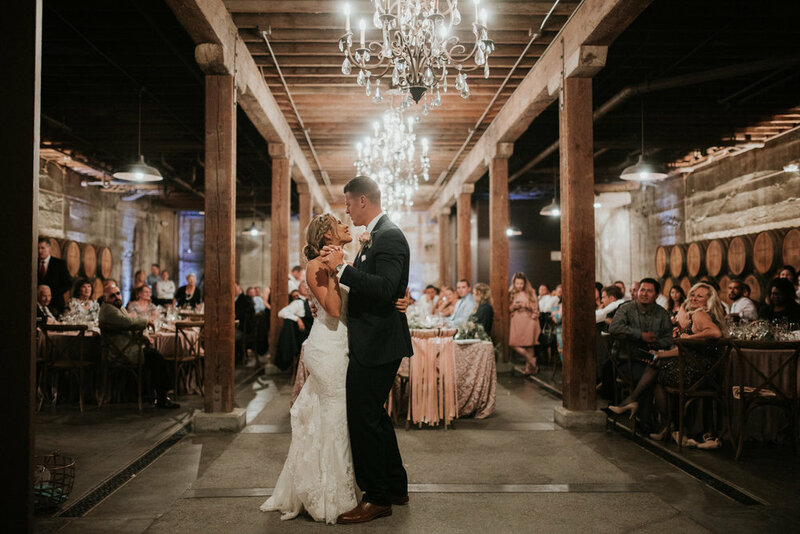 It's an updated version of the hotel block and is super trendy for 2018 + 2019 Weddings. 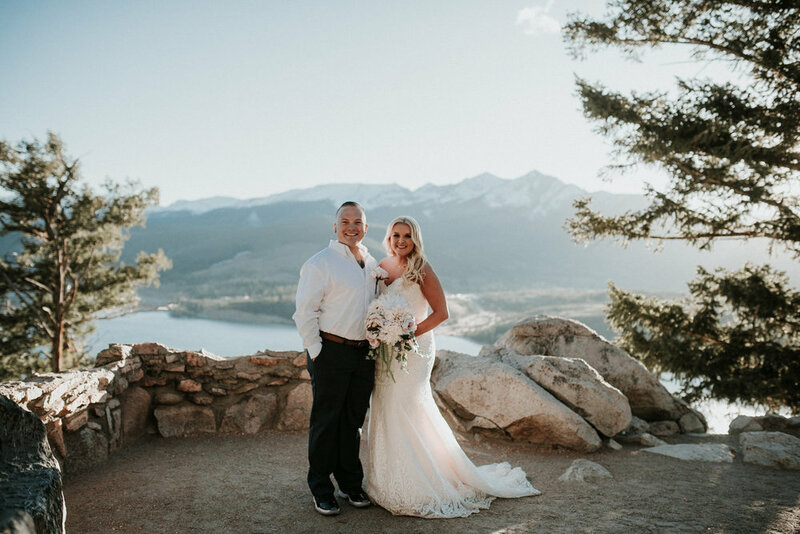 Planning on getting married at a resort? Call and ask what kind of rates they can give to guests planning to make the trek! You're not in this alone. 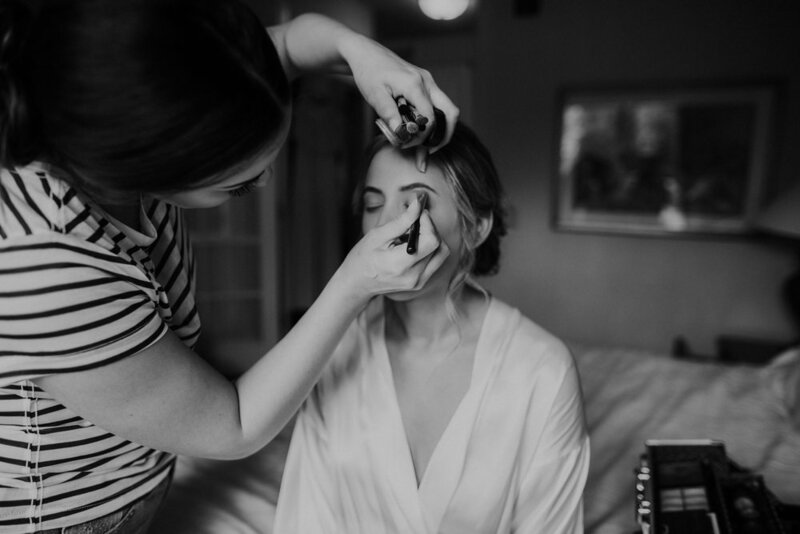 All of your vendors, especially your photographer, ;) want you to feel supported and provide as much information and support as possible leading up to, on, and even after your day. 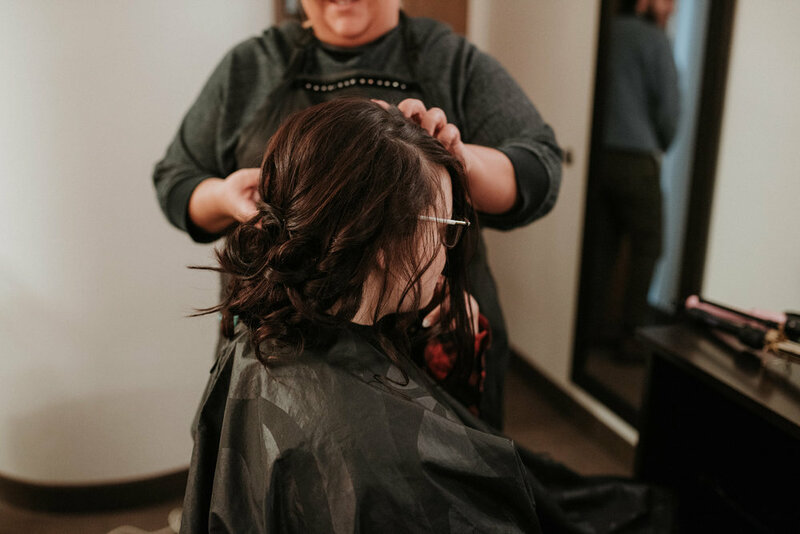 Your wedding day is so important to us and the people you choose to work with. 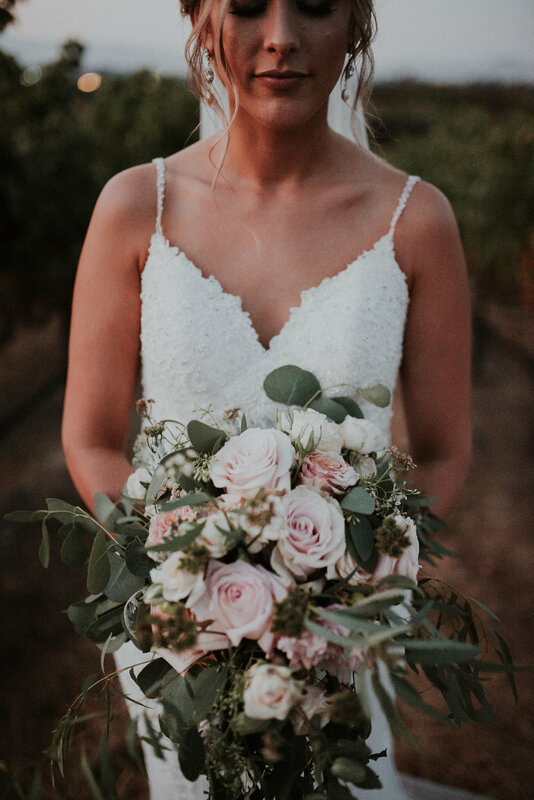 Let us help create the best experience for you and your bride/groom to be. 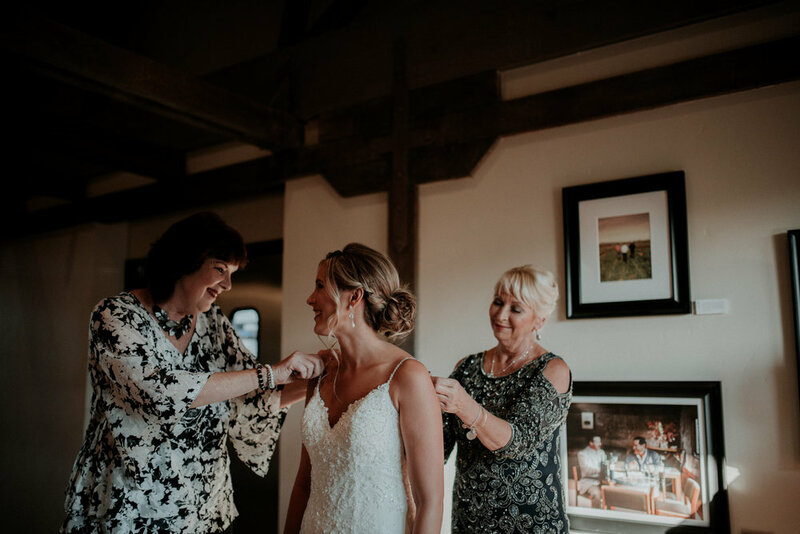 WANT TO HEAR FROM THE TWO BRIDES WHO DID IT? CHECK OUT THE POSTS BELOW! We weren't wrong about either! 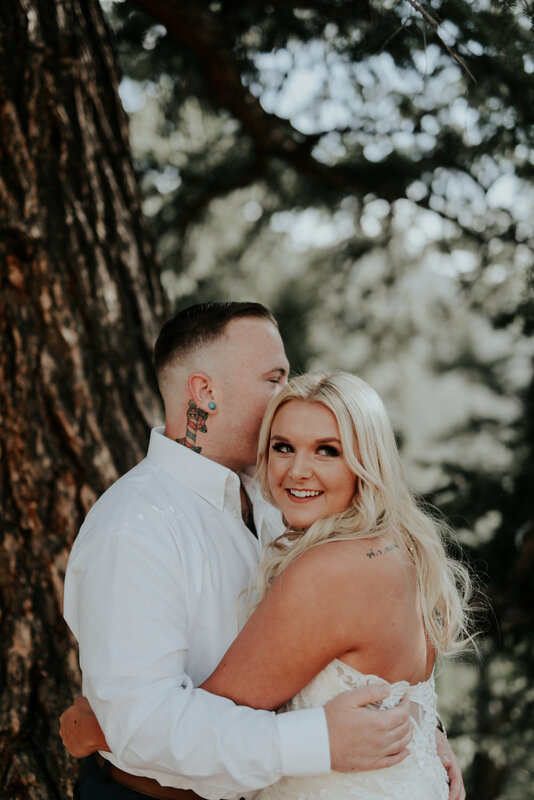 In September, Ashley and Jason said "I do!" in front of over 100 of their friends and family. 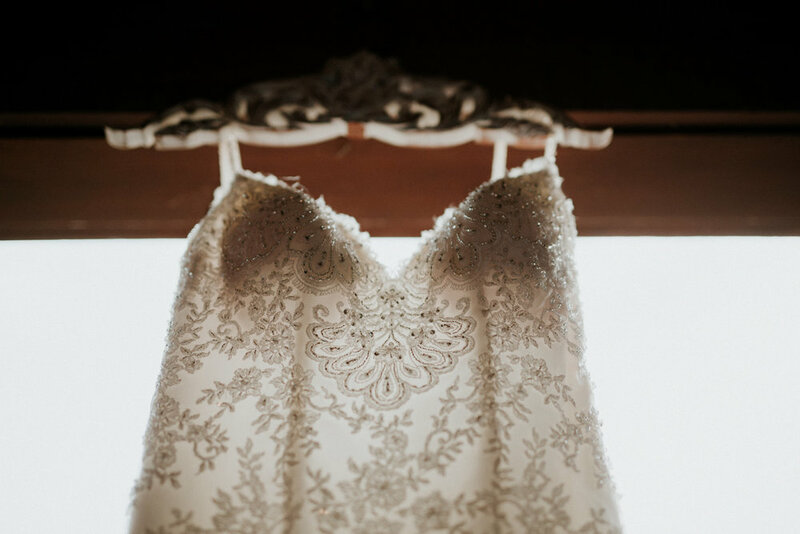 They were surrounded by love and some incredible details. 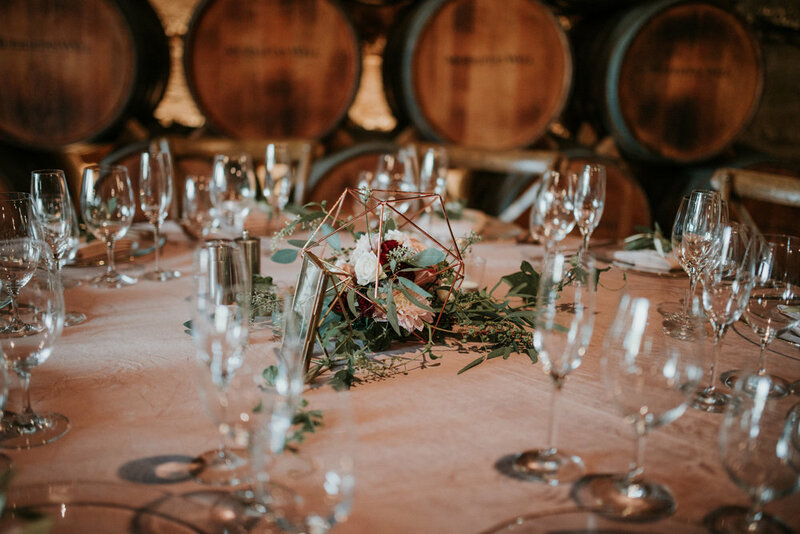 (Elise of Brannan Events is a genius.) 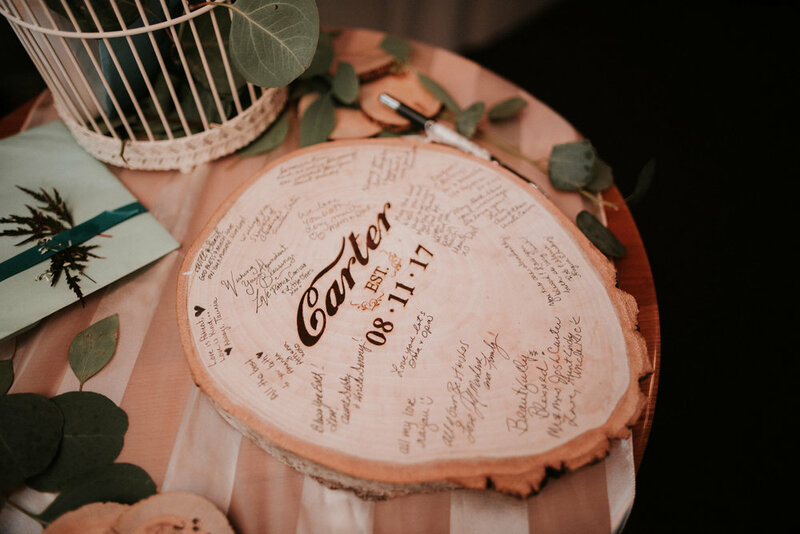 Hanging table seating charts and hand written names on sea glass, a romantic and soft color palette, and a ceremony bathed in golden sunset. 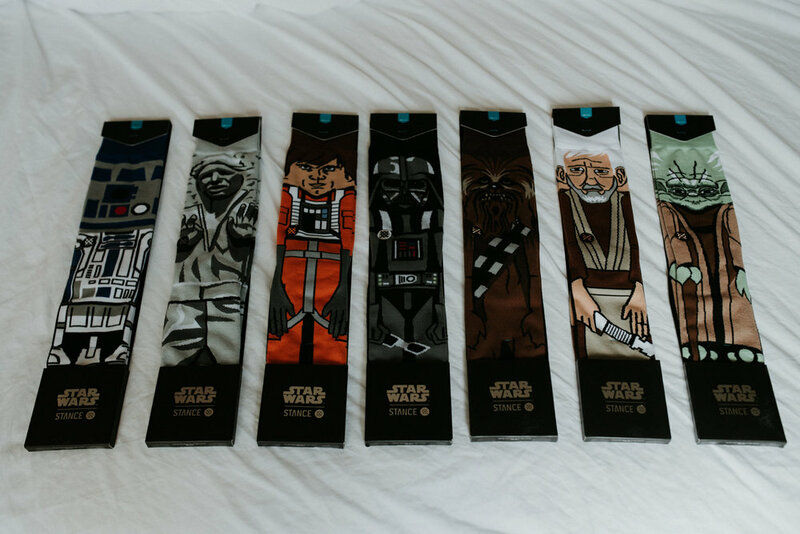 Ahhhh, it’s so hard to choose just one! 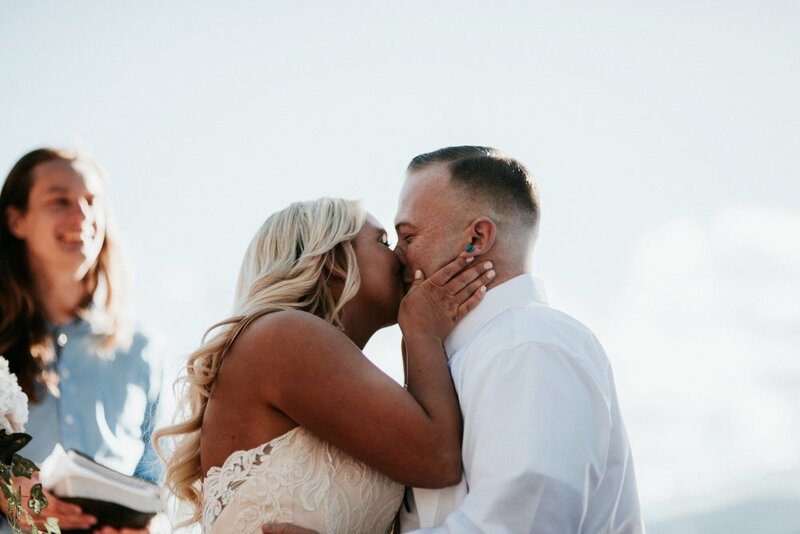 We loved walking through Oktoberfest, an annual celebration in Downtown Paducah that just so happened to fall on our wedding day; as we posed for pictures in the thick of it all, people were cheering, clapping, and offerings their congrats. 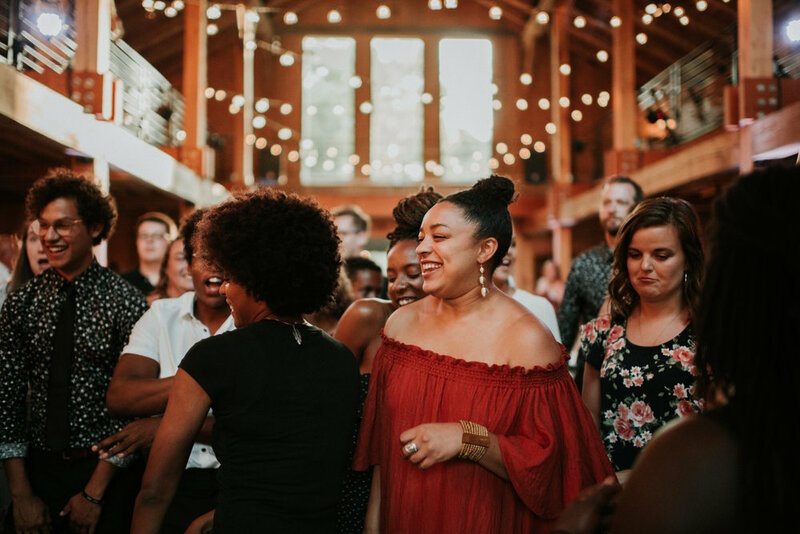 It was also amazing and so surreal to look around our reception and think about how everyone we love was drinking, dancing, mingling and having a blast under the same roof. 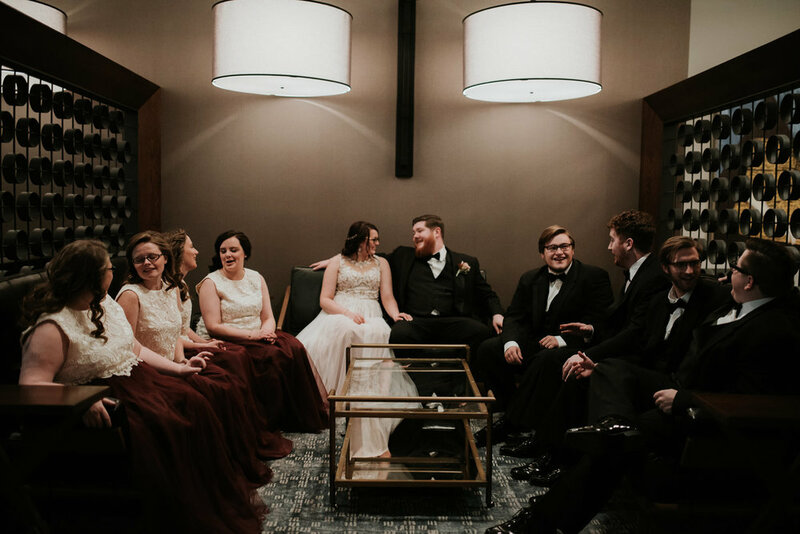 There was so much love in that room, and it was the perfect way to start our marriage! 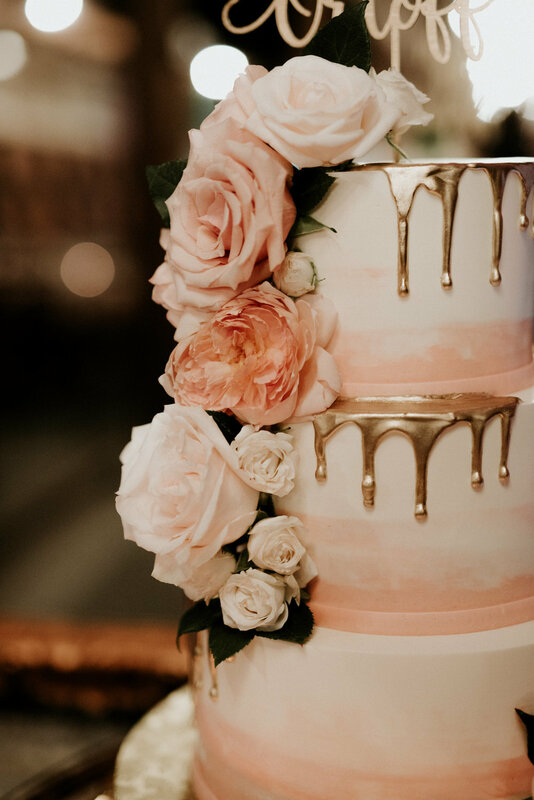 BURBON + ROSÉ GUMMIES AND CAKE BY VIOLET JAM WERE THE PERFECT COMPLIMENT TO ASHLEY'S FUN SPIRITED SOUTHERN WEDDING. ASHLEY DITCHED SOFT AND ROMANTIC FOR A BOLD, FUN ORANGE LIP! 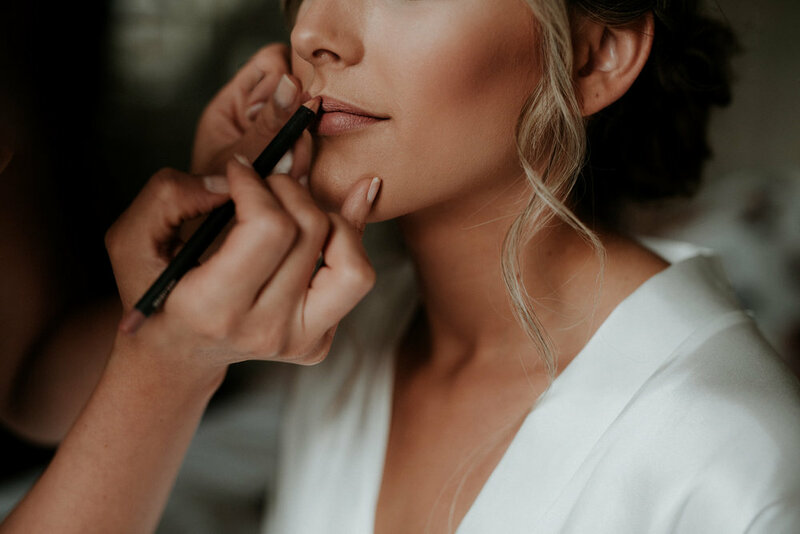 FACE MAKEUP ARTISTRY EXECUTED IT PERFECTLY! THE MILK GLASS VASES BELONGED TO ASHLEY'S GRANDMOTHER! ASHLEY DESIGNED ALL OF HER INVITATIONS. SHE IS SO TALENTED IT'S UNBELIEVABLE!! 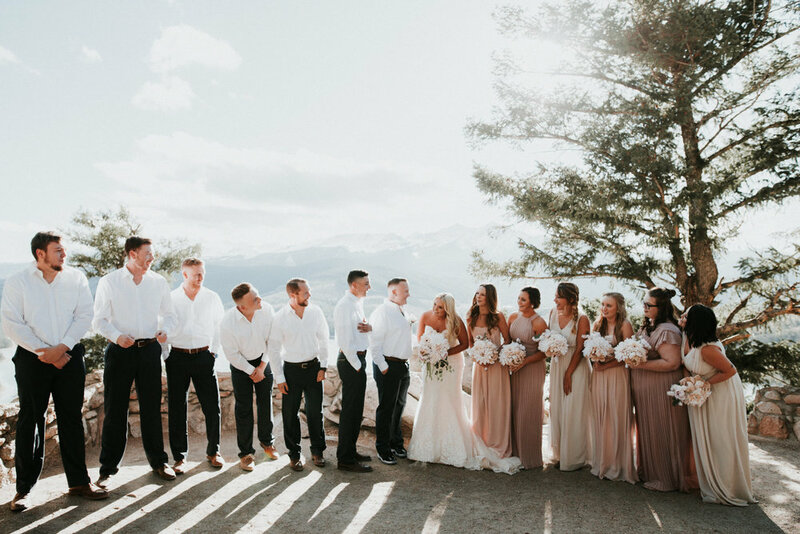 WE LOVED SEEING THE BRIDAL PARTY WATCH THE FIRST LOOK FROM ABOVE! IT WAS SO CUTE! BONUS POINTS IF YOU CAN SPOT ASHLEY'S MOM IN THE WINDOWS BELOW! 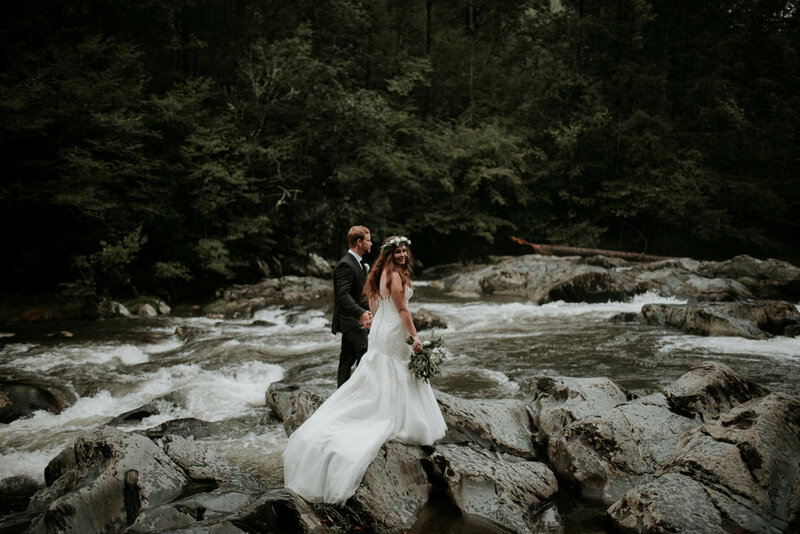 You're scrolling through Pinterest, Instagram, or looking through a wedding magazine and you see these couples getting married in exotic or unconventional locations! 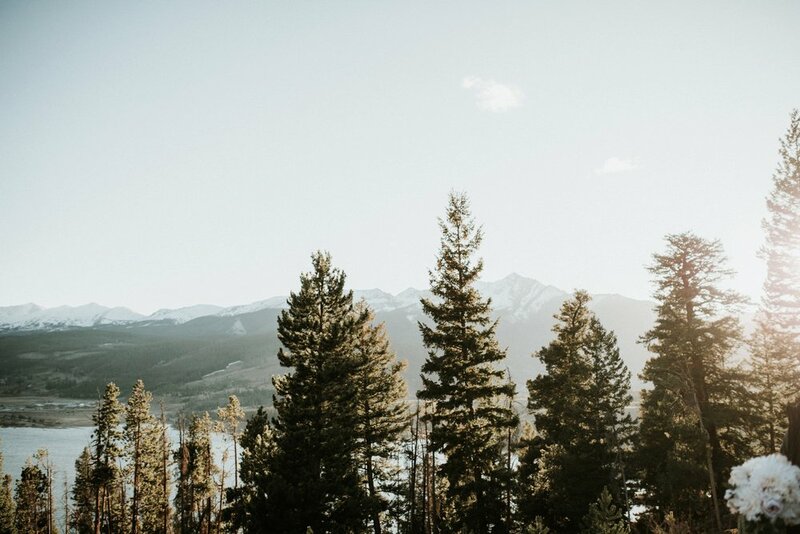 How the heck does one even begin to plan finding the perfect wedding venue when there are SO many to choose from? We've decided to bring in the experts! 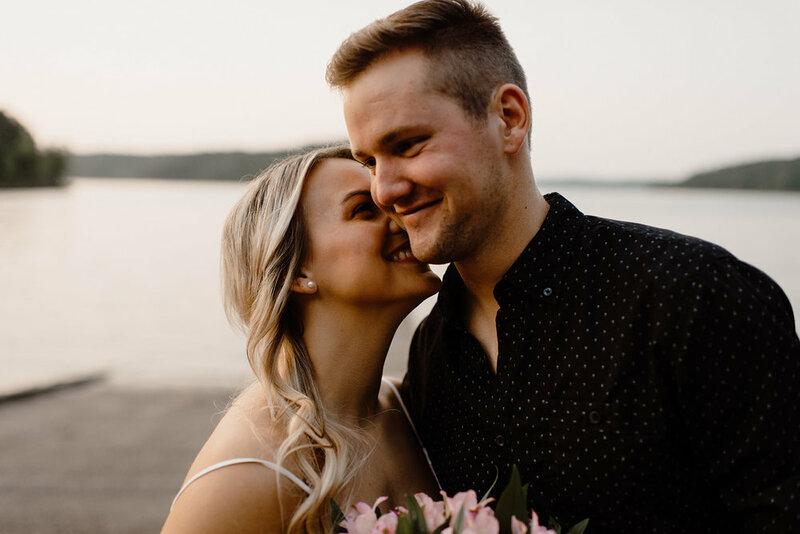 Collin and Jenna Buchanan of He&She are here to give you some insight into this overwhelming part of wedding planning. 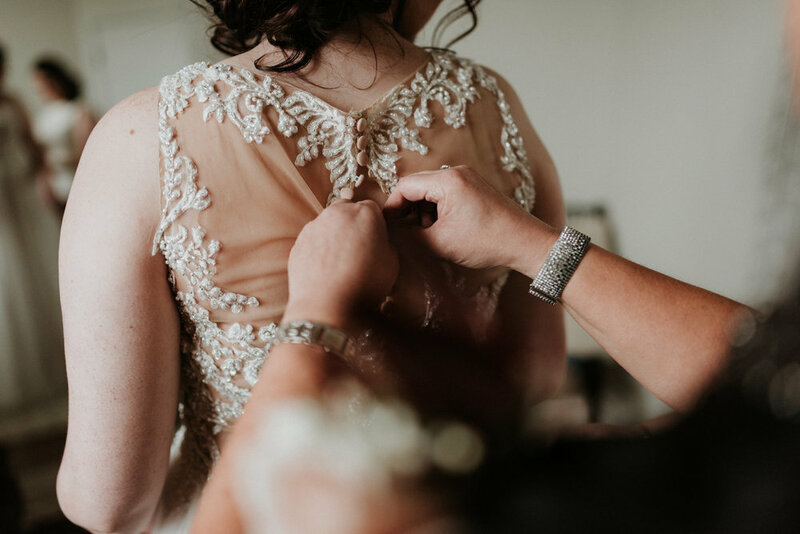 If there's ONE thing we recommend for planning your wedding day, it's to find a good wedding planner to ensure it's as stress free as possible! 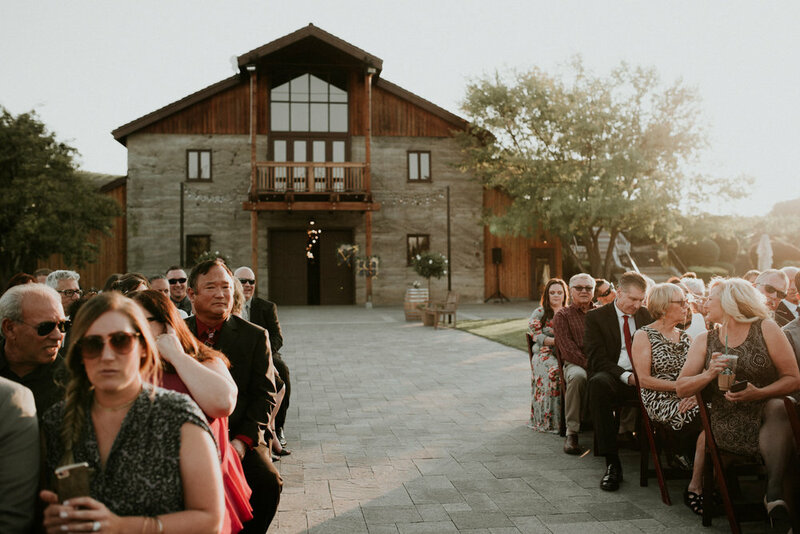 Venue planning is one of the many, many things they can provide that will make your dream wedding a reality! 1.Tell your story first and foremost. 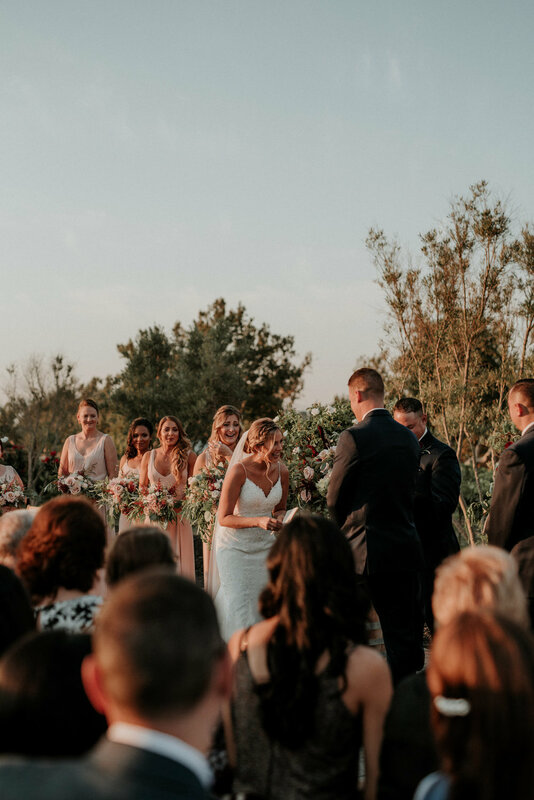 The biggest mistake most couples make is picking their venue right off the bat, and then forming the rest of their wedding to fit the vision of the space. 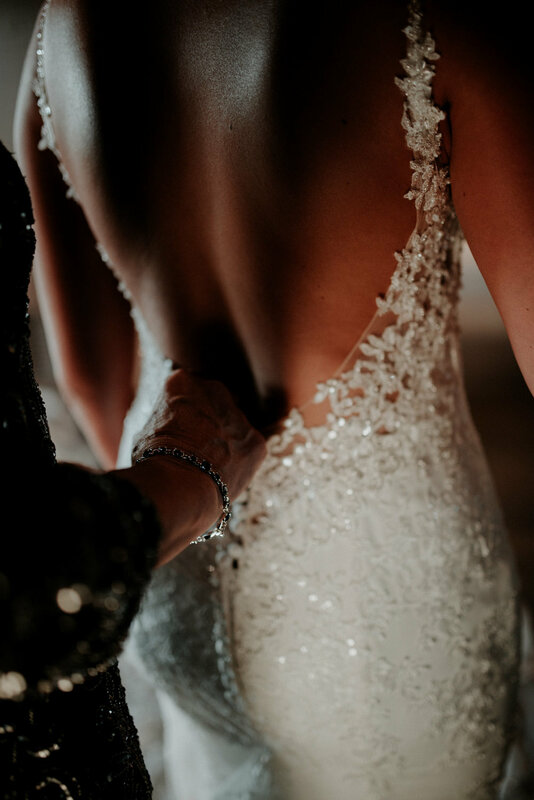 Your wedding day should tell the story of your love and the journey you’ve been on together. Choose a venue that fits your vision, not the other way around. 2. 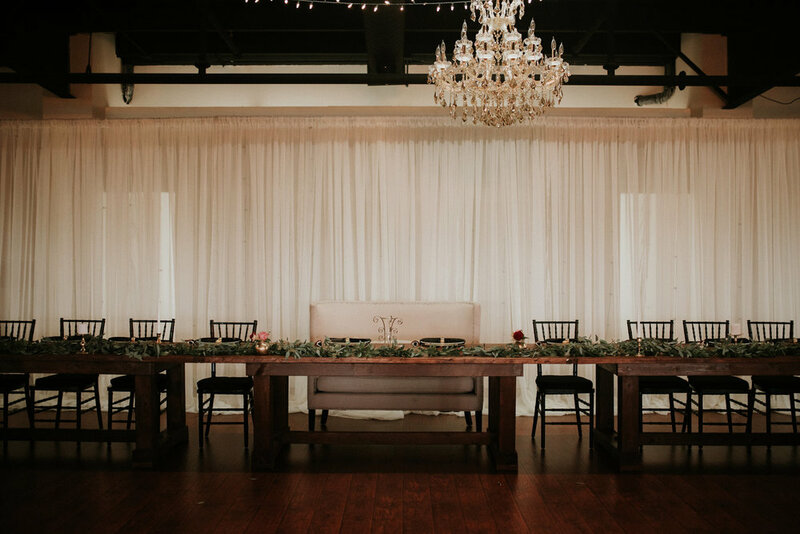 Choose a venue with good bones. Pick a space that is already aesthetically pleasing, even before the decorations. Don’t waste time and large portions of your budget trying to change or cover up something you think is ugly. 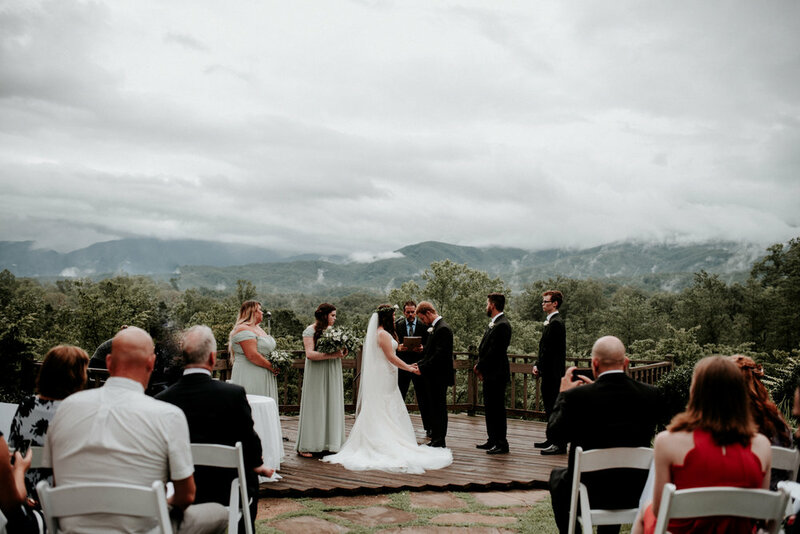 It doesn’t have to be stamped with the words “wedding venue” to be the place you vow to belong to one another. Heck, it doesn’t even have to have a roof. 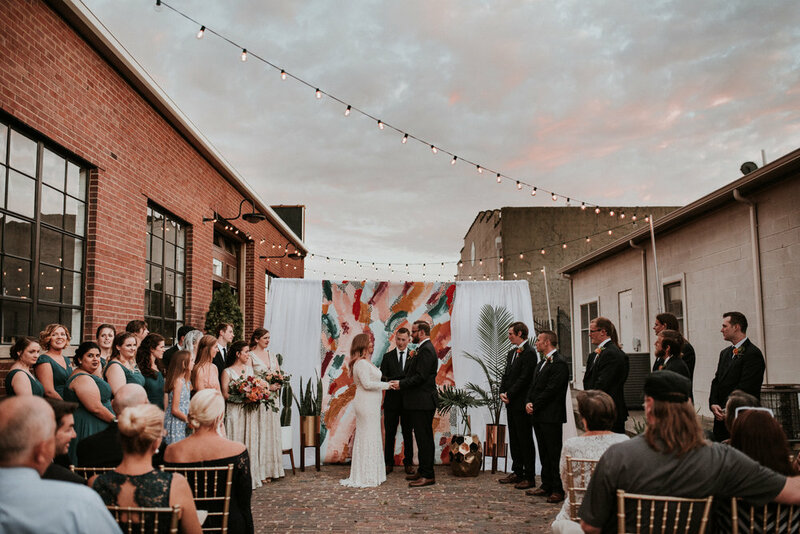 (Parking garage wedding, anyone?) 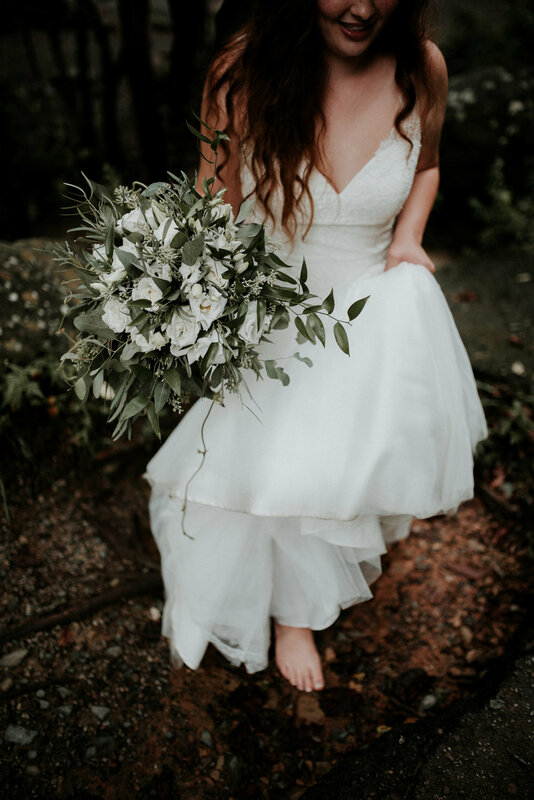 Chances are that your favorite bookstore, coffee shop, or restaurant would consider it an honor to serve as hosts for your wedding day. Plus, you’ll get major brownie points for having such a unique venue! Does the venue have an exclusive caterer, or are you free to serve your favorite local food truck? 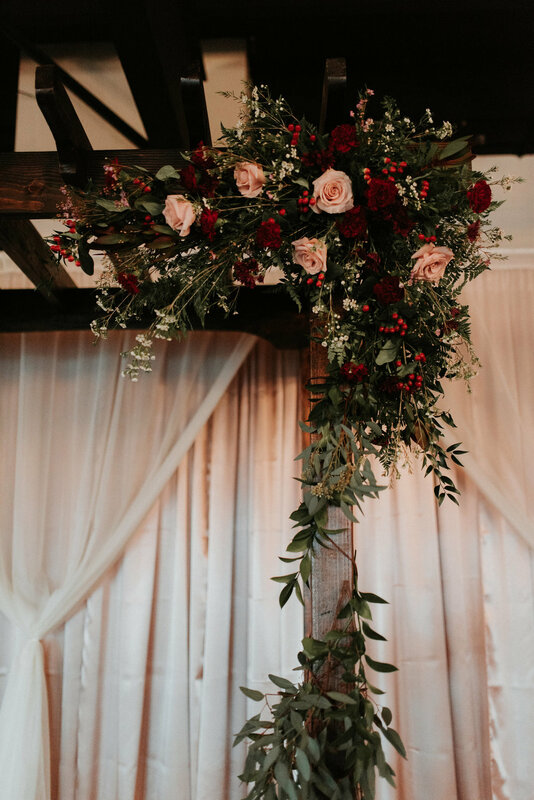 Will you have enough time to set-up and decorate the venue, or will you need to hire additional staff to do it for you? Does the rental rate include chairs and tables, or does that cost extra? 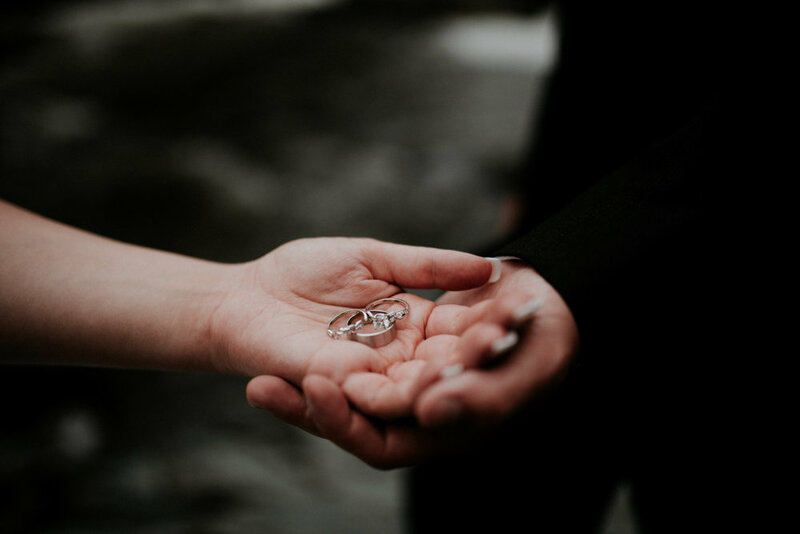 Hidden fees can sometimes double the expense of the venue, if couples aren’t careful to ask exactly what their contract includes. Okay, the important note here is not actually the hot dogs, but rather owning the freedom to serve whatever you want to eat! Have a potluck, do a smore’s-only bonfire reception, or serve thirty different varieties of soup. Whatever you choose, be okay with somebody not loving it. 6. Stay true to yourselves. 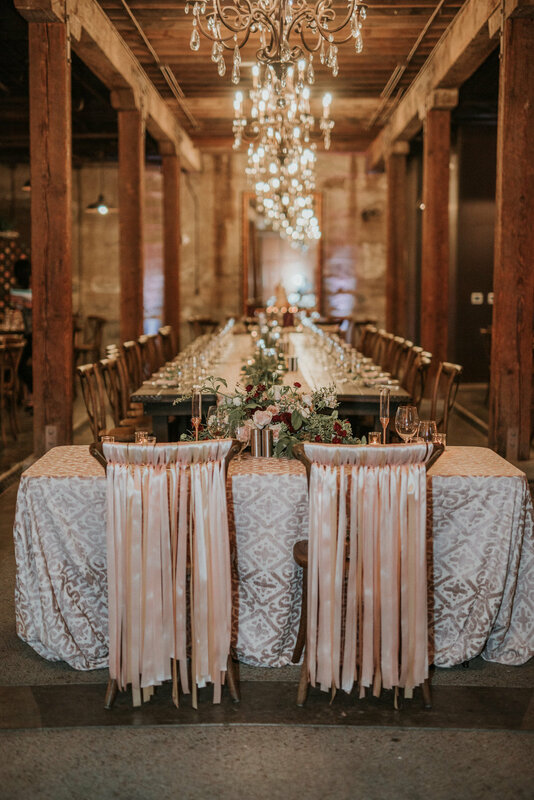 Your venue should match your personality. 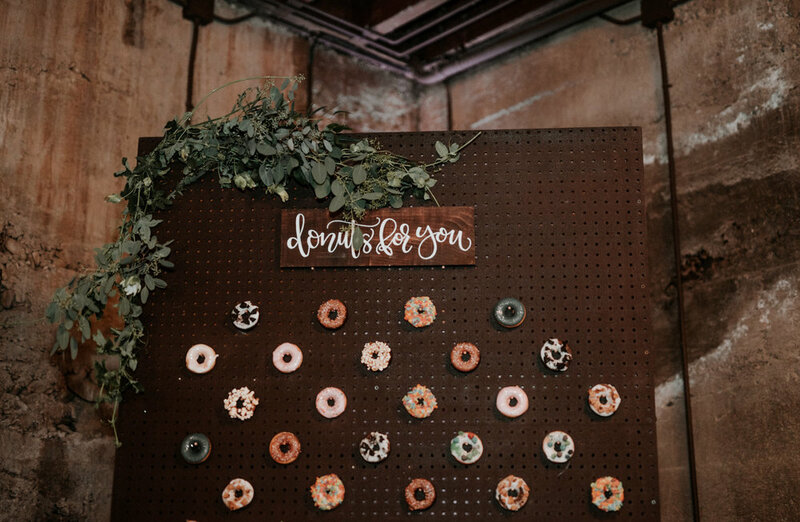 Just like how your home says a lot about who you are, so should your wedding venue. Don’t shy away from including those intimate, little details that make up your relationship. Unless you’ve been blessed with a budget fa dayz, you’ll probably have to make some compromises with your Pinterest board along the way. 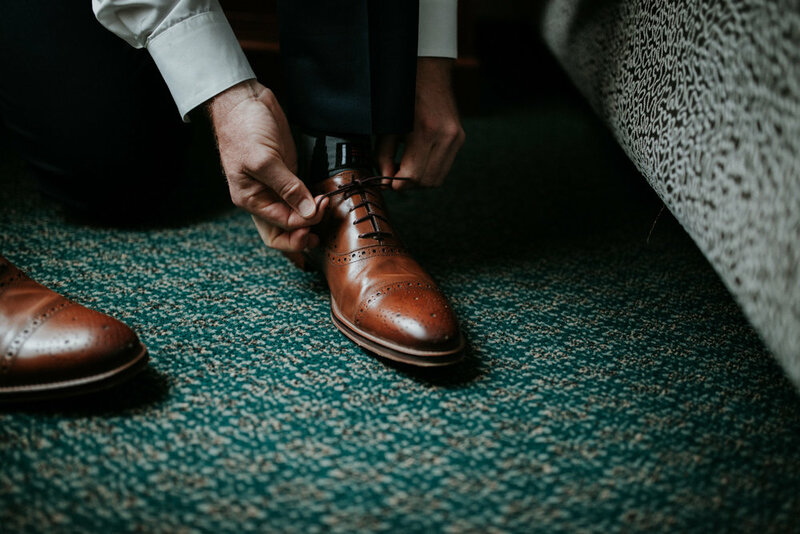 If your venue is costing you more than half of your total budget, you probably ought to think twice and look for a better fit. 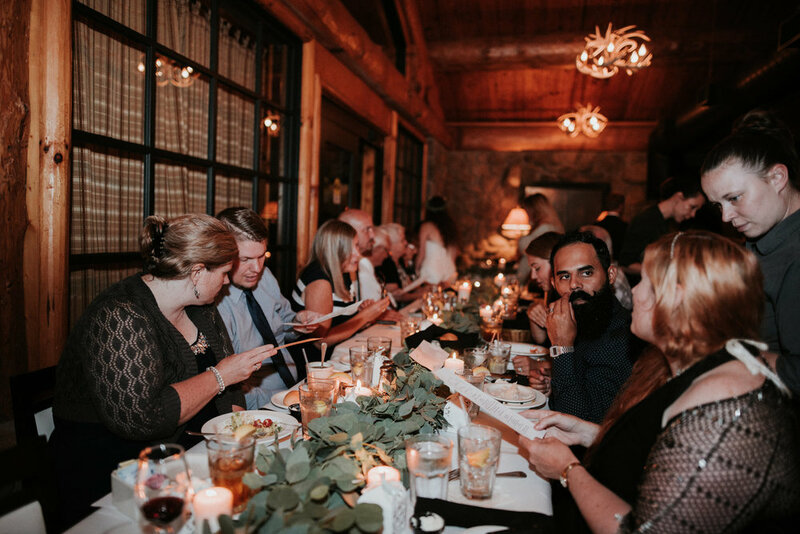 We want to release couples from feeling burdened to throw a fantastic, impressive party for your guests. If you’re being creative, honest, and genuine, it will be a truly beautiful celebration. Just choose a space that is special to you and simply marry each other there. If it means something to the two of you, it’s good enough for the people who love you. 10. 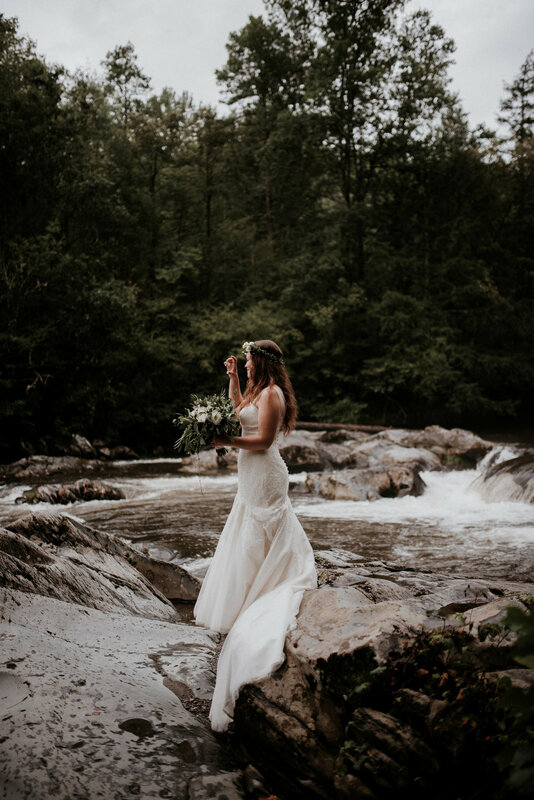 Forget all this and ELOPE! If you’ve gotten this far and everything we've just shared with you sounds like a nightmare that you don’t want to live through, then have peace in knowing you don't have to! 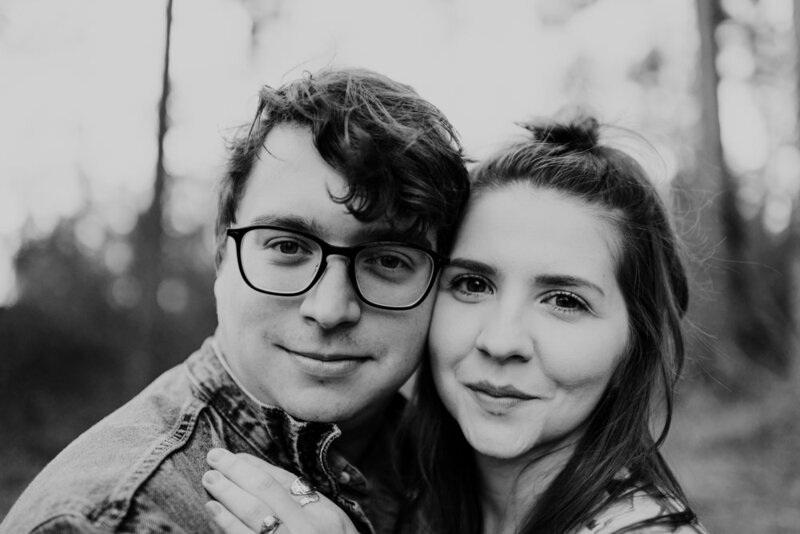 Elopements are beautifully intimate and we think you should bring Zach & Rosalie (and us!) along with you! Thank you SO much to Collin and Jenna for taking the time to provide this content! 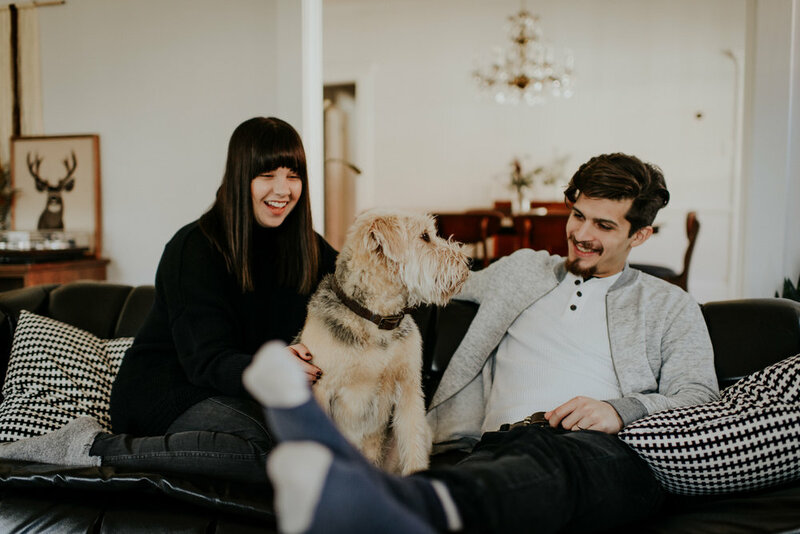 Last weekend we traveled to Springfield, Missouri to photograph Beth and Miguel in their new home. 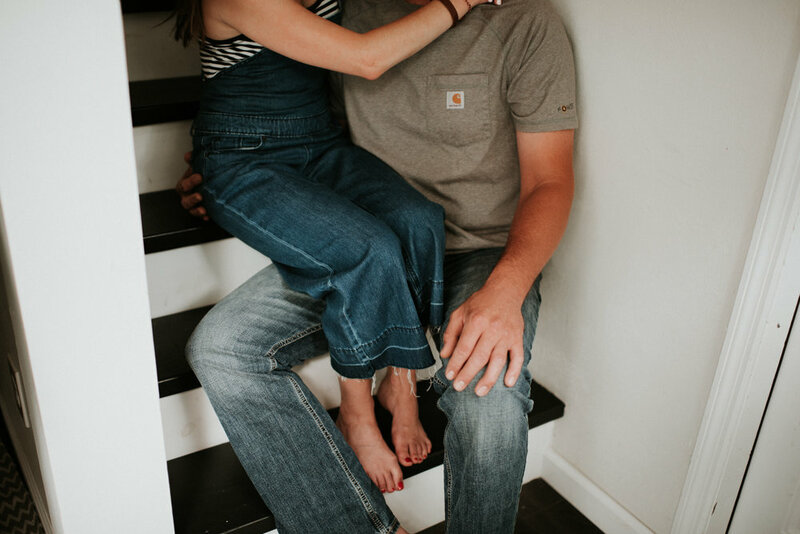 We've been following both of them on Instagram for a while now, (Beth is an incredibly talented photographer and all around adorable person) so we reached out and asked if they would be willing to share their home and morning routine with us, we were excited to hear a yes!We tagged along on one of their favorite things to do, walk to Cherry Pickers, (Which is super cute. 100 % recommend! ) and then headed back to their little home. He's the most adorable little dog in Springfield. Interested in having you and ya boo photographed in your cute home?